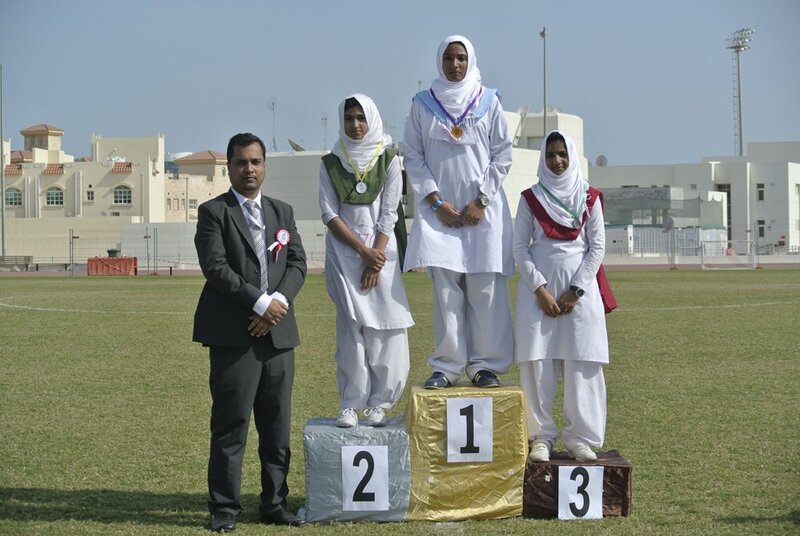 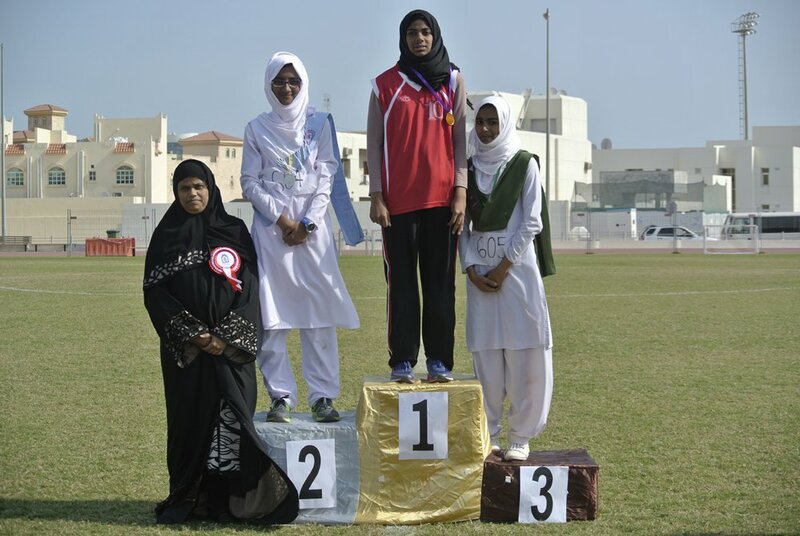 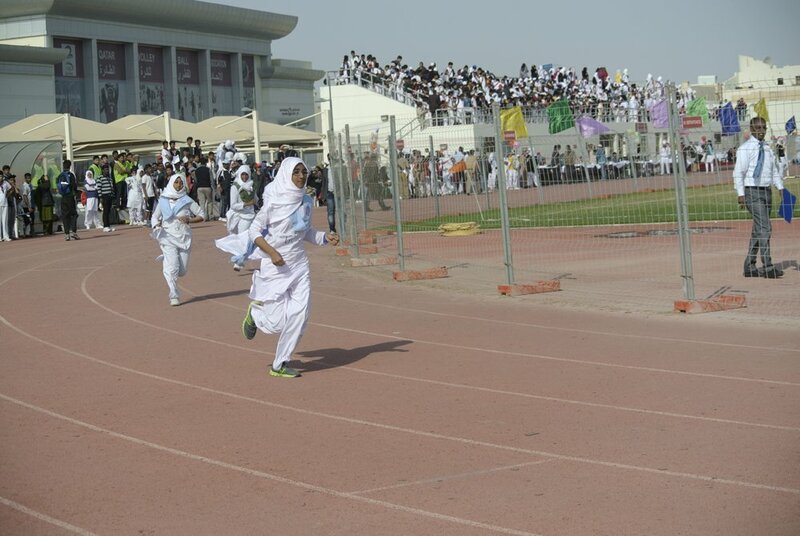 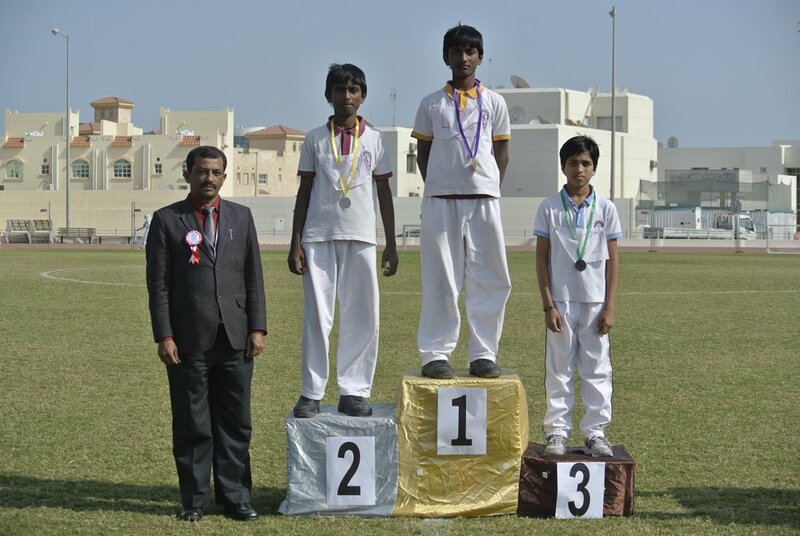 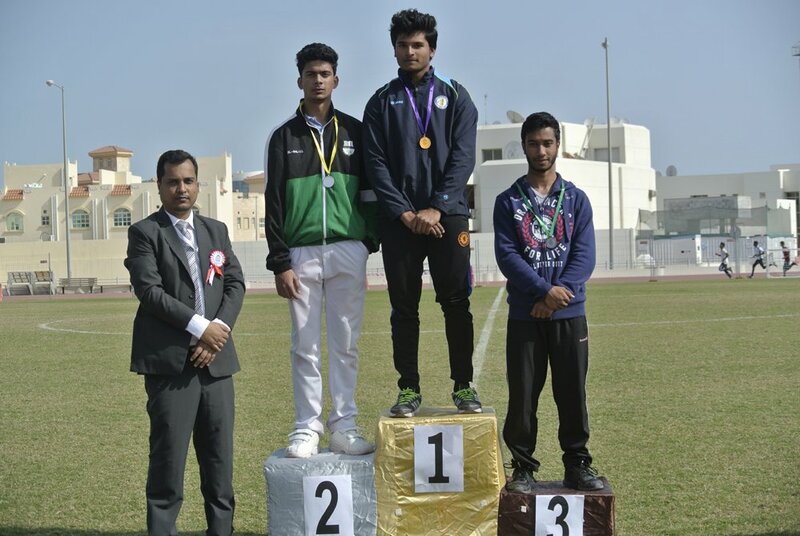 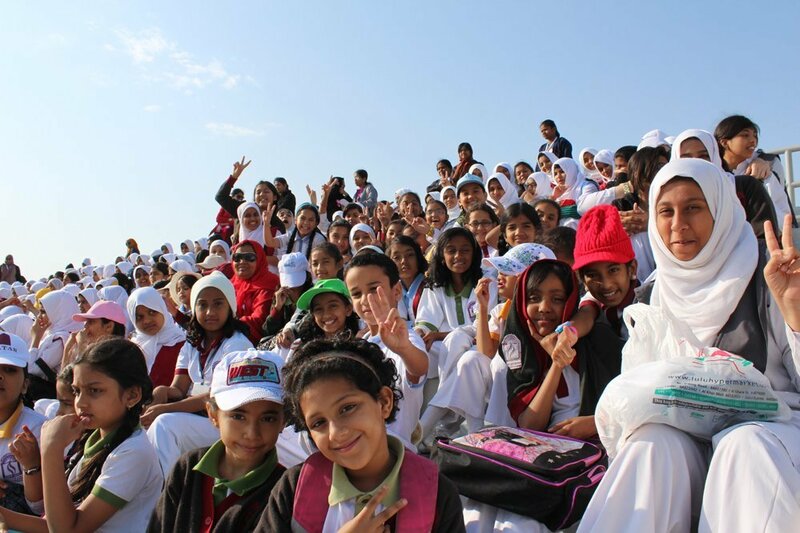 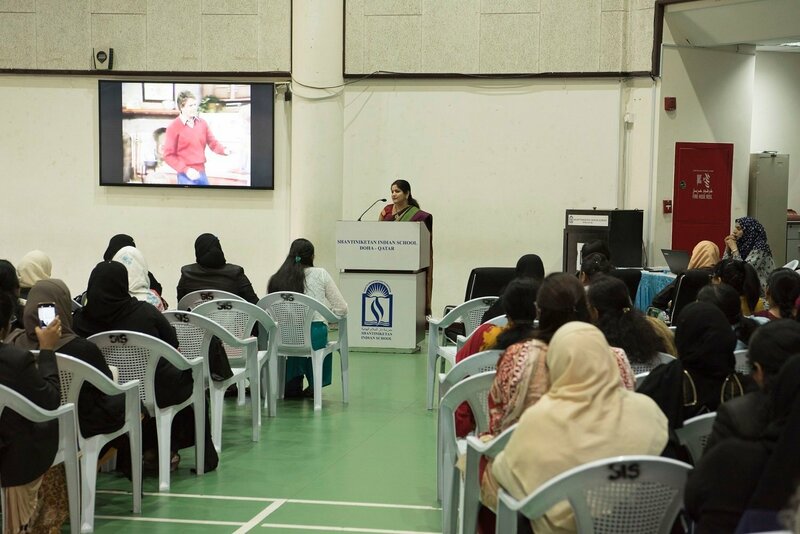 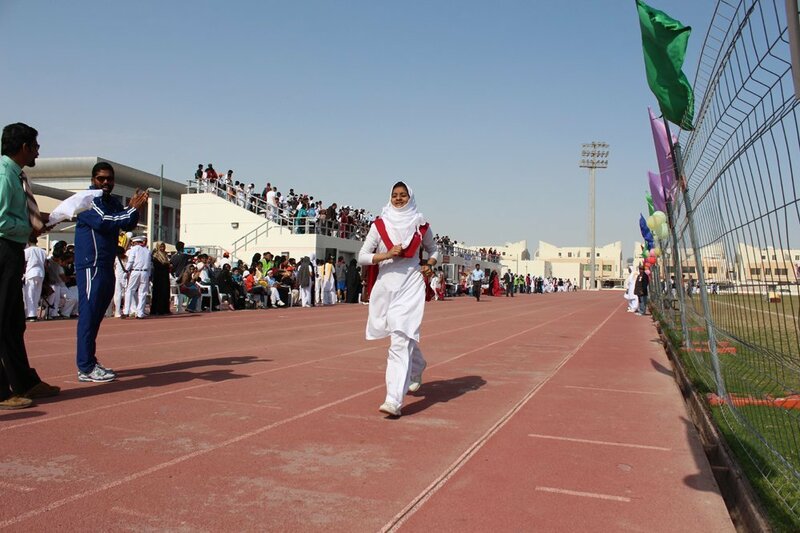 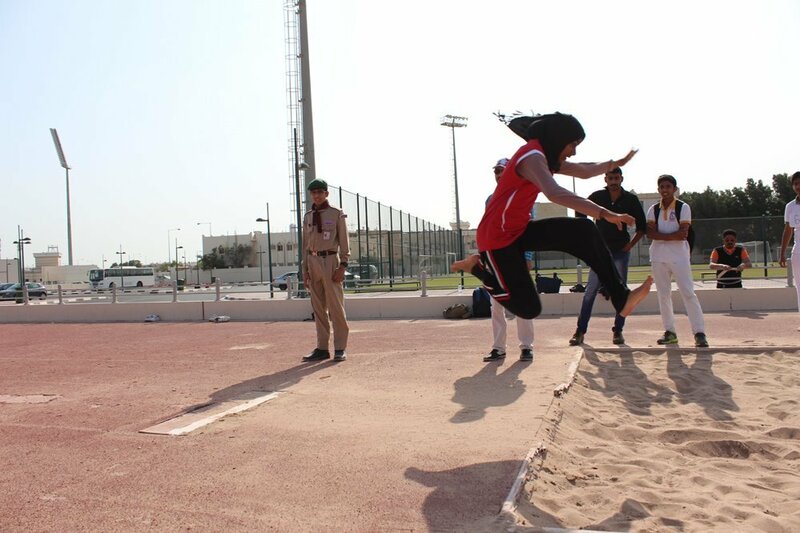 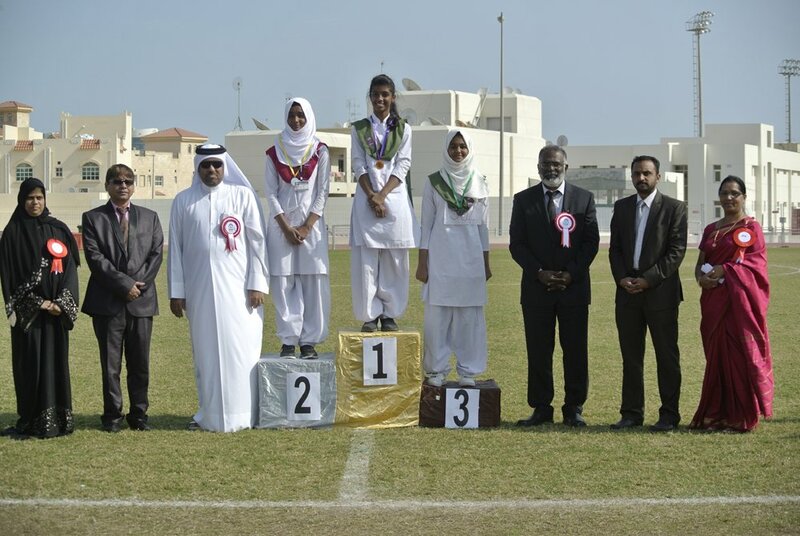 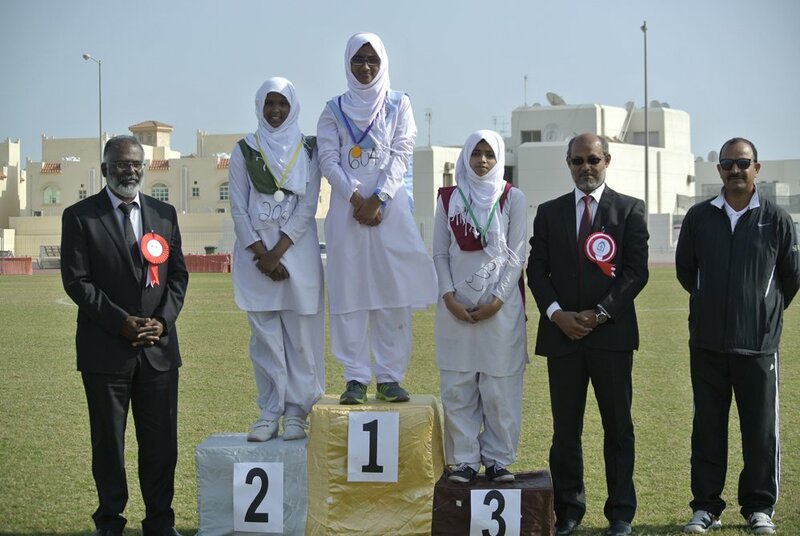 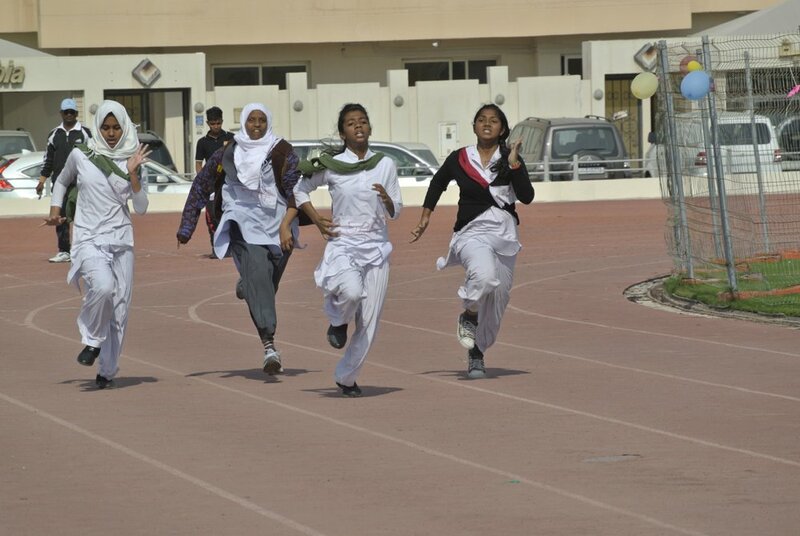 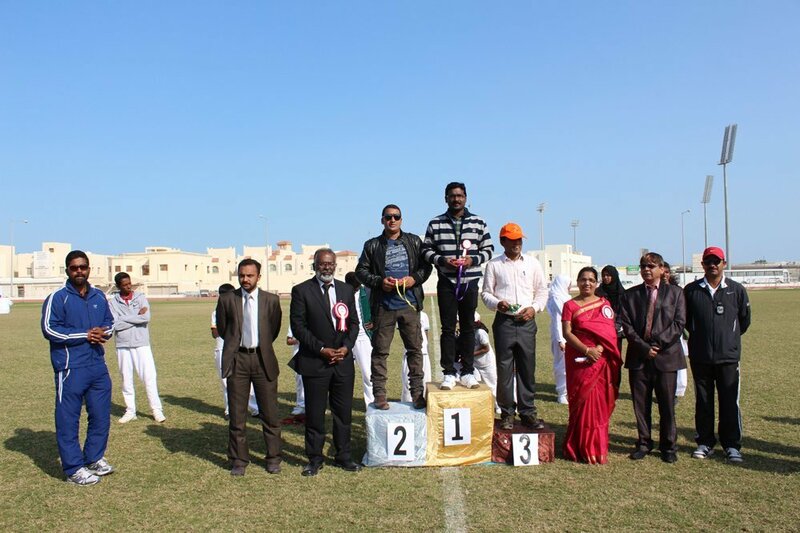 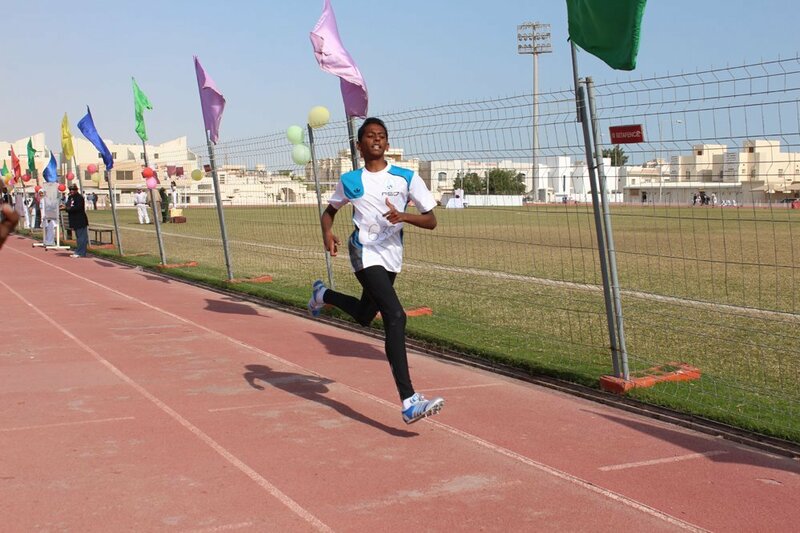 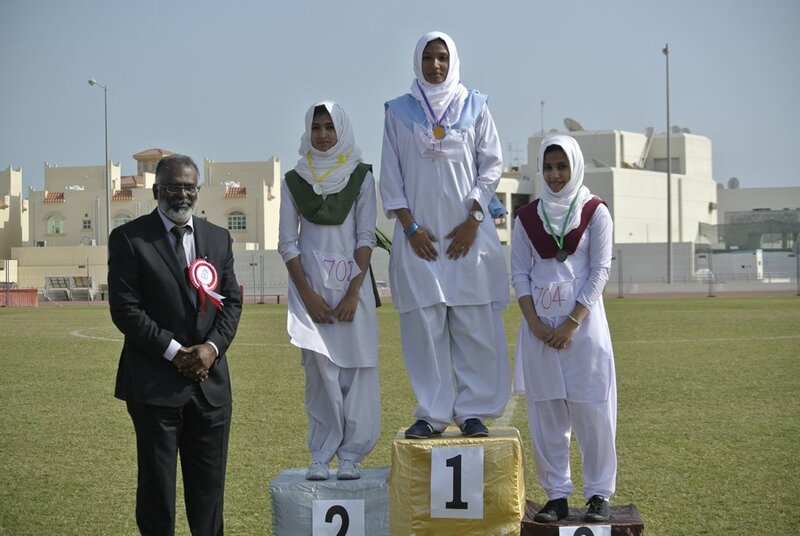 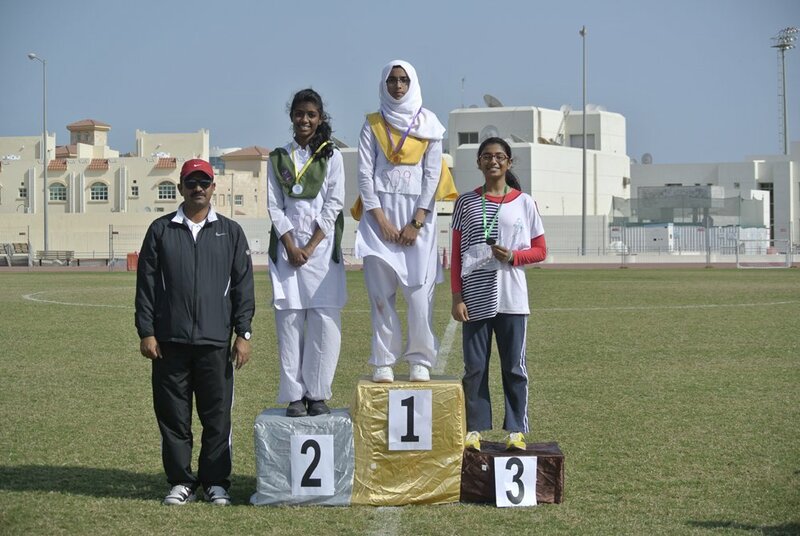 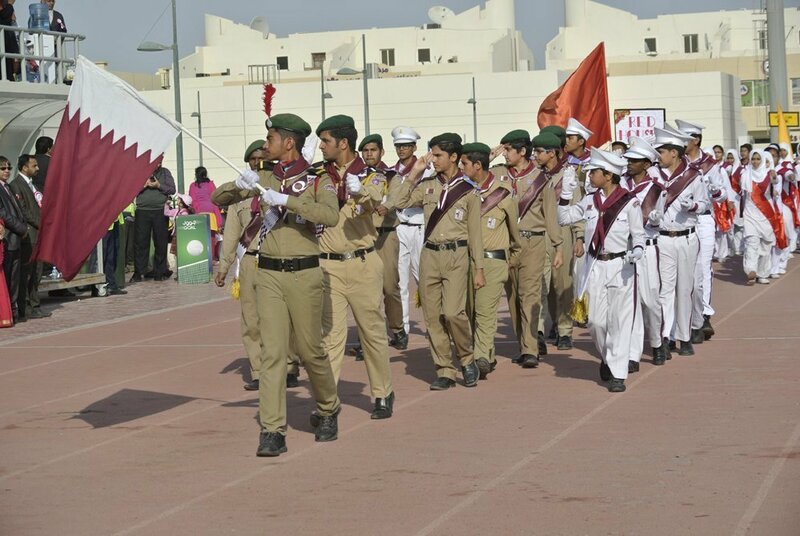 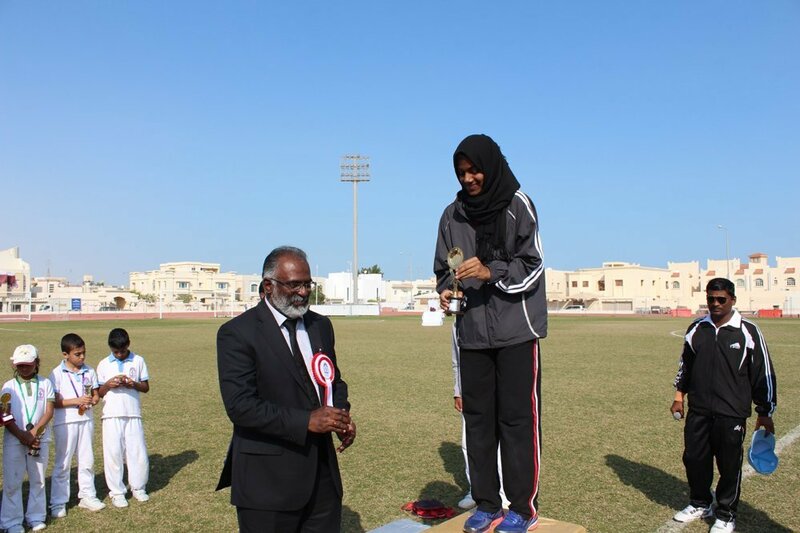 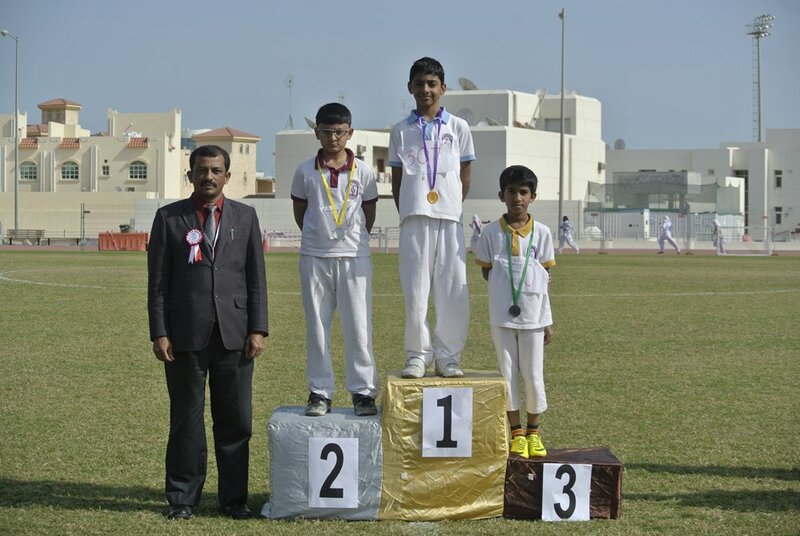 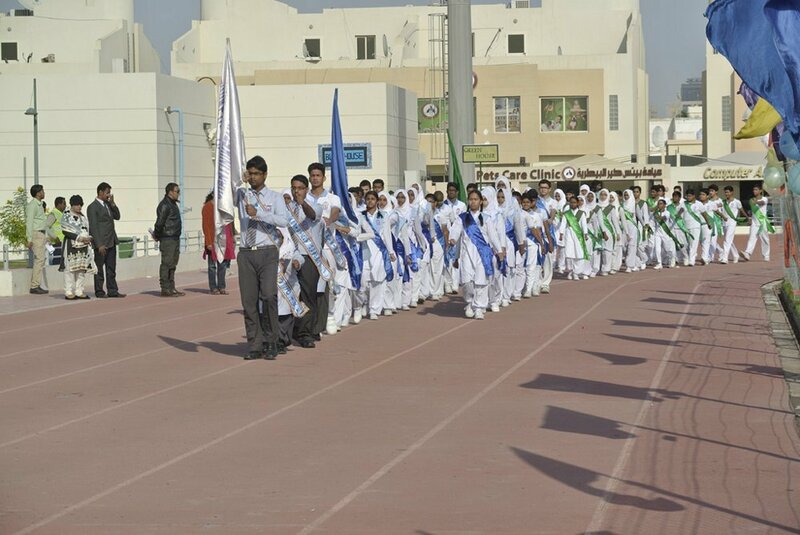 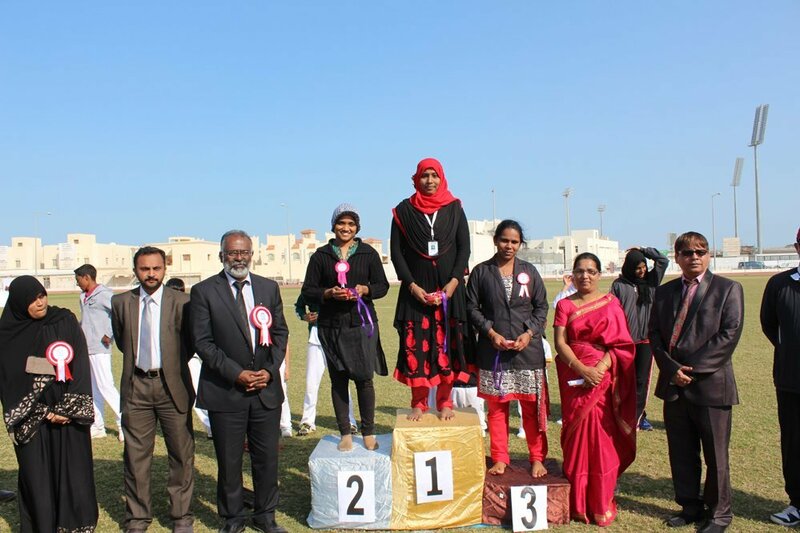 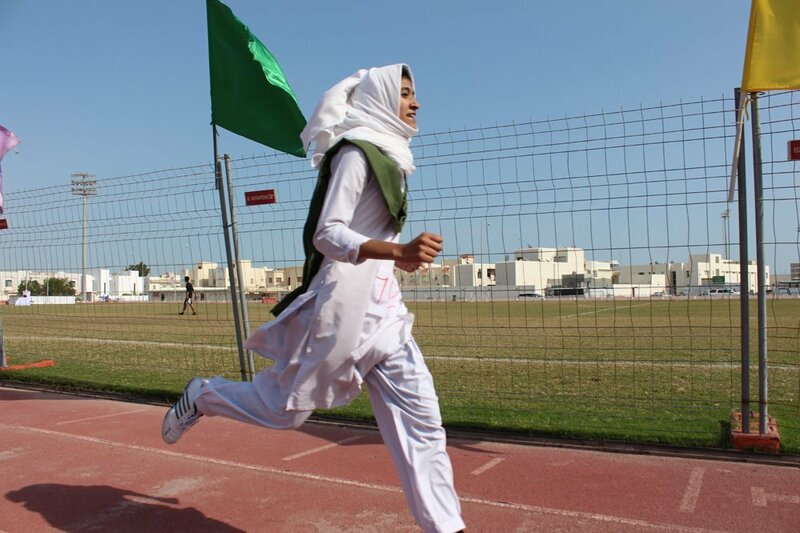 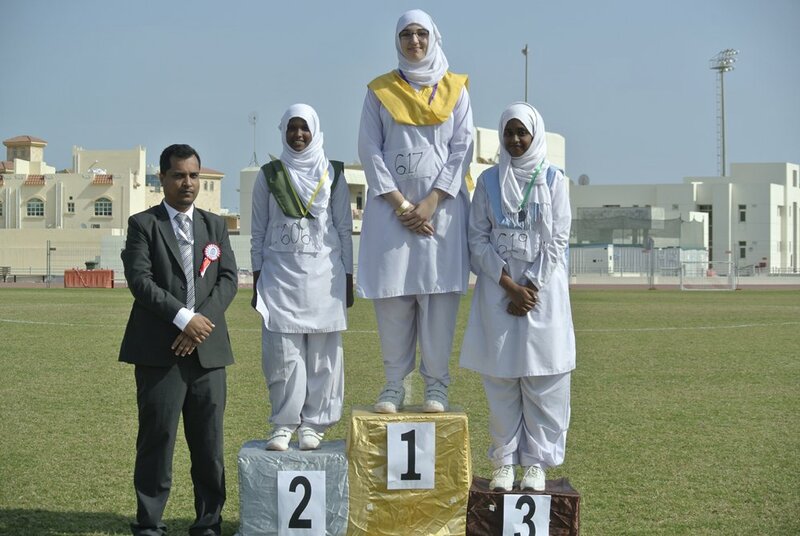 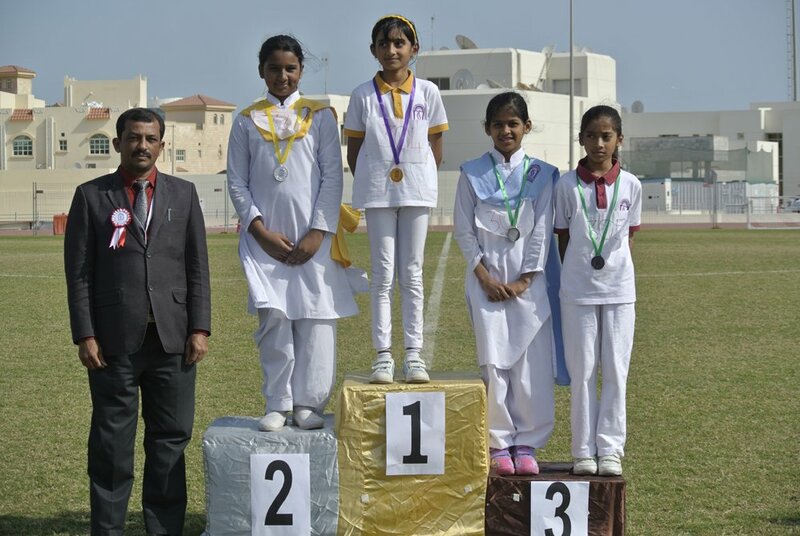 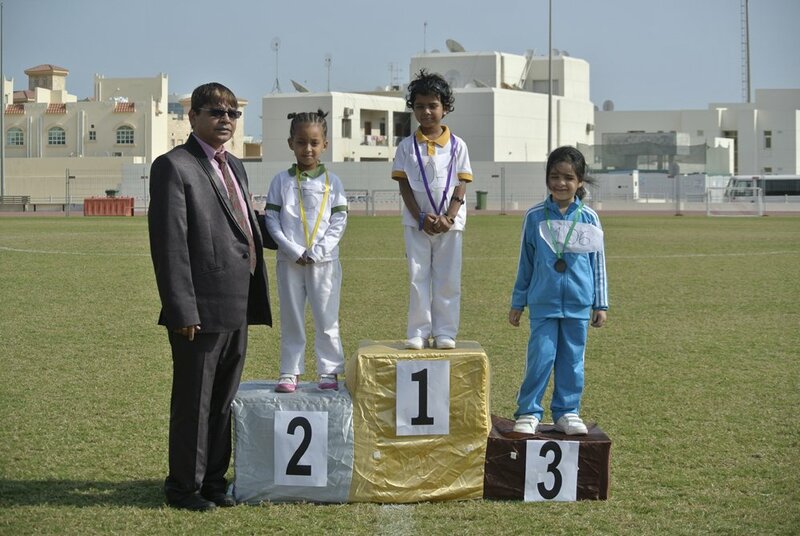 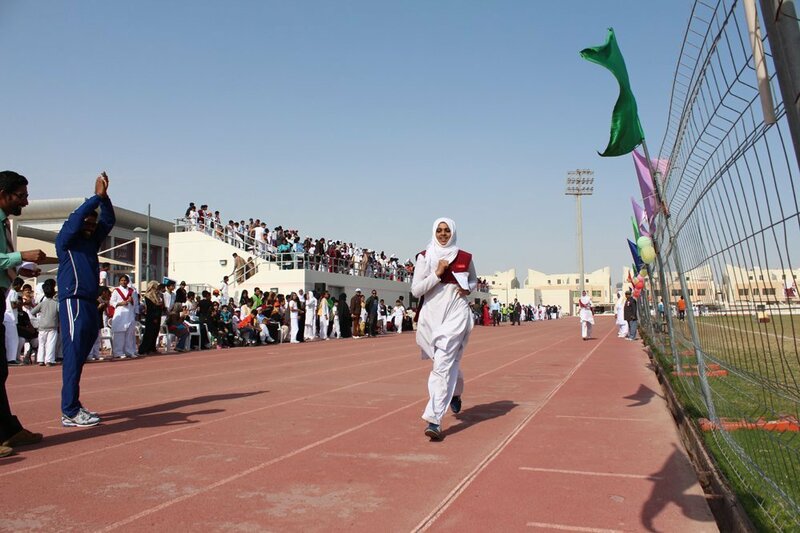 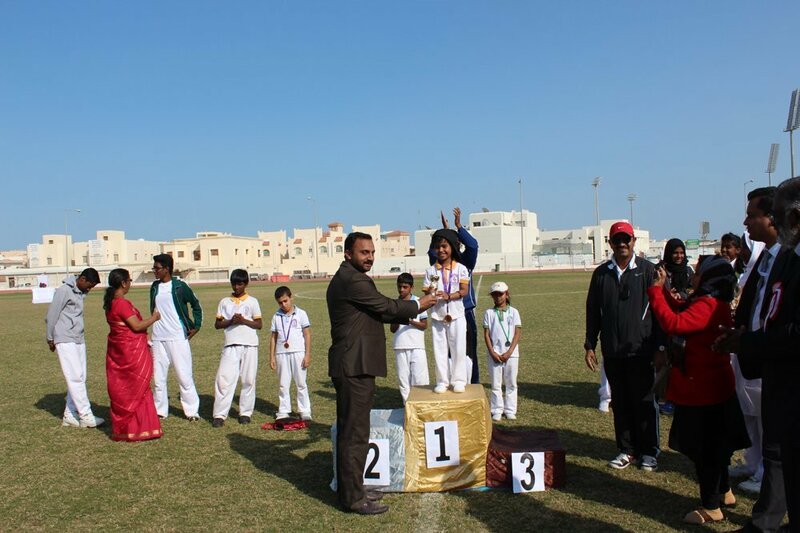 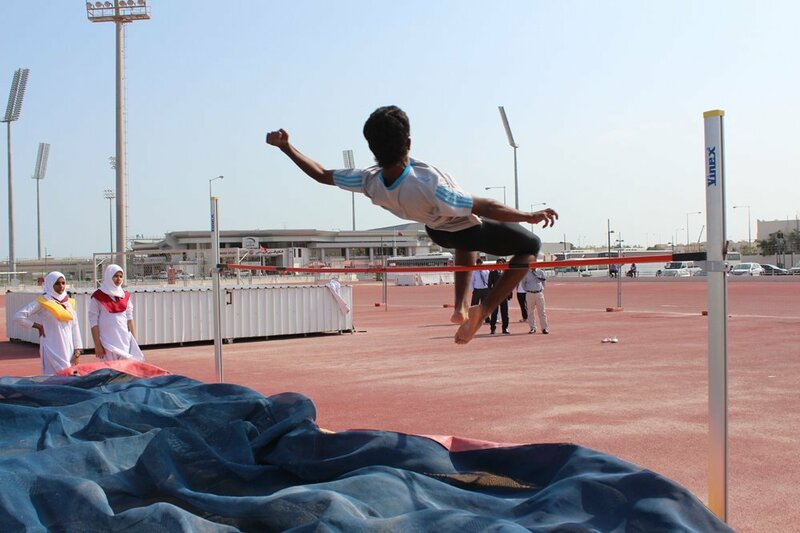 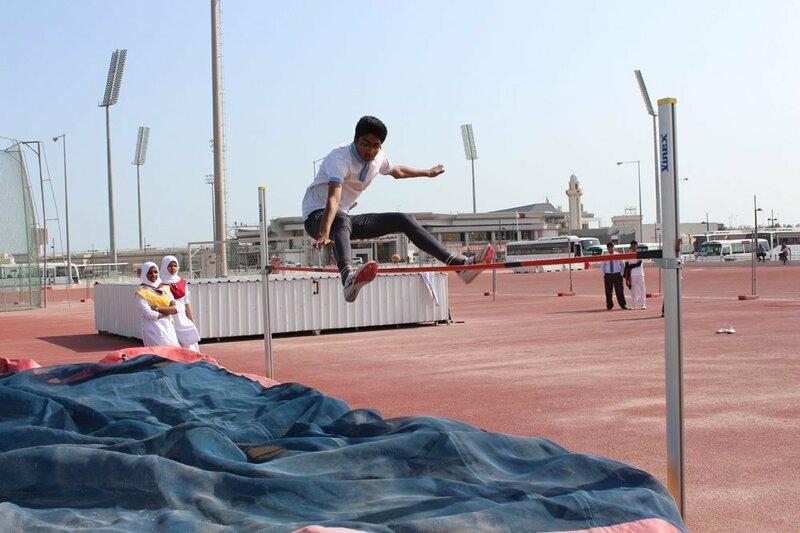 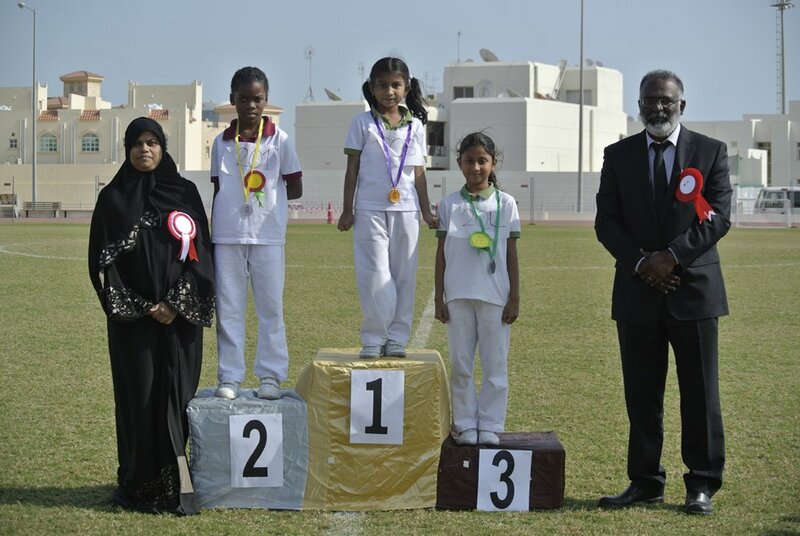 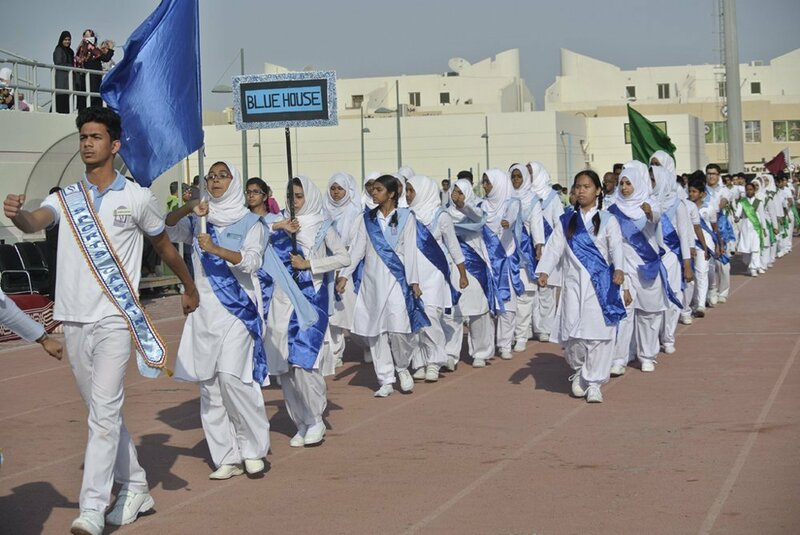 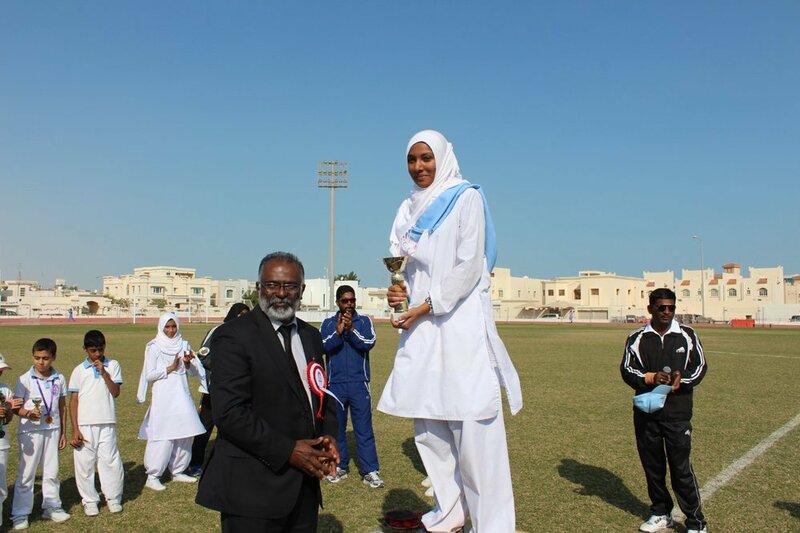 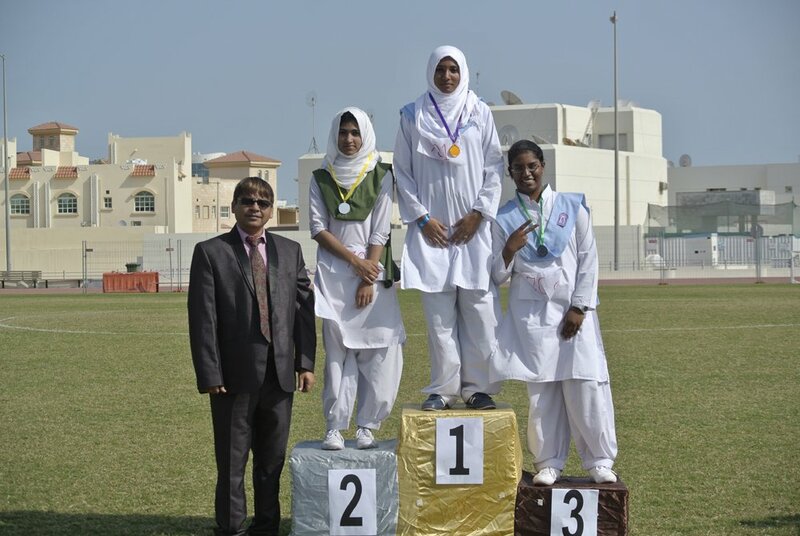 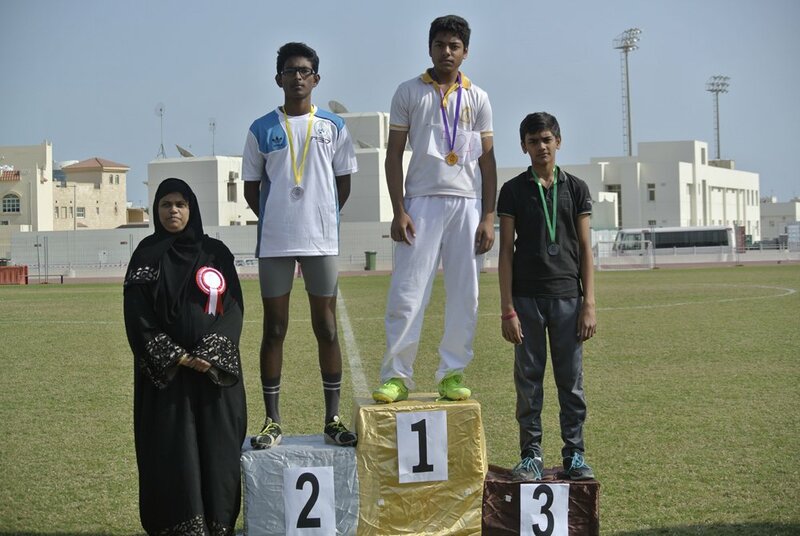 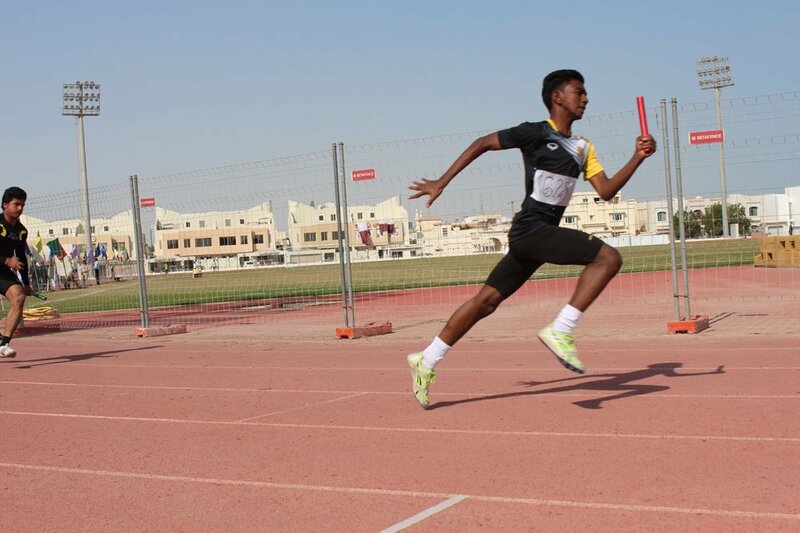 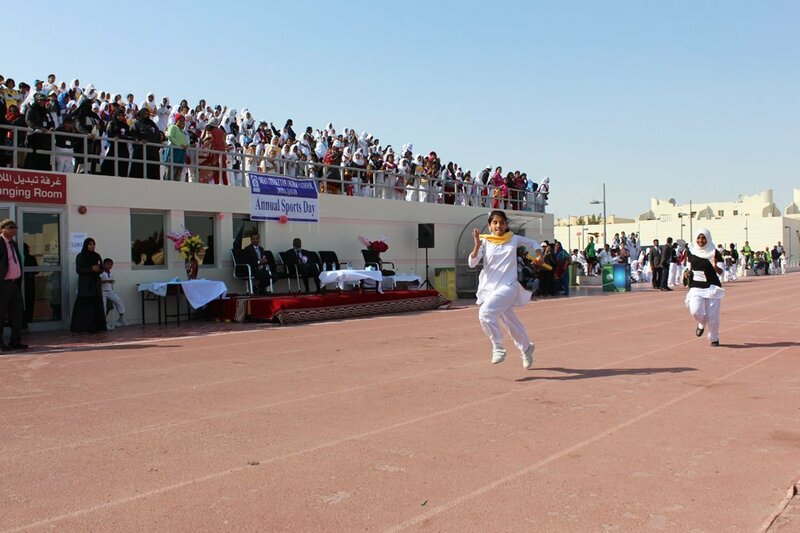 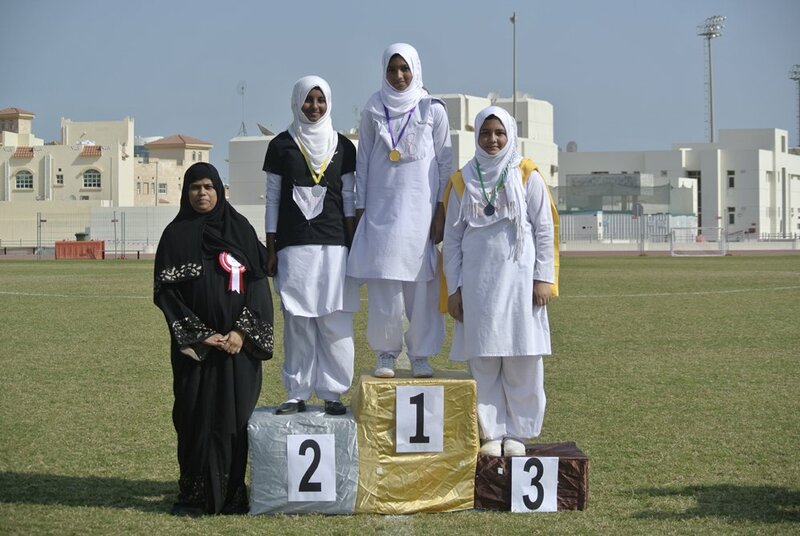 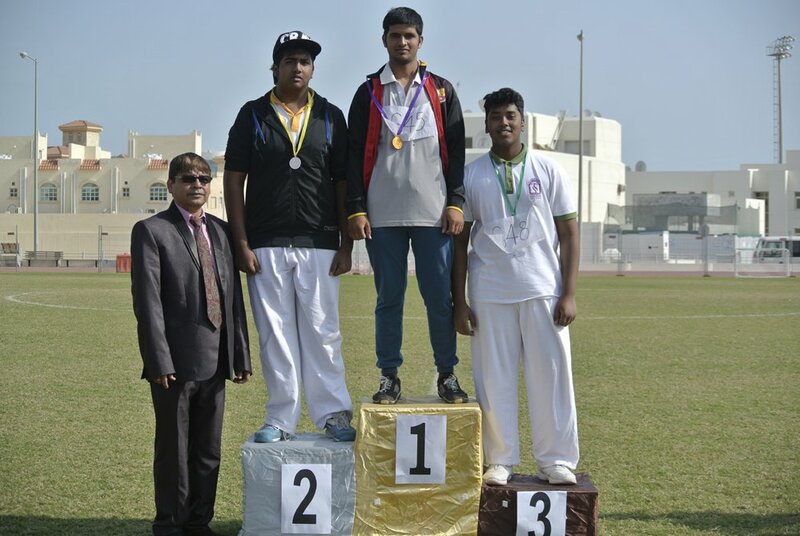 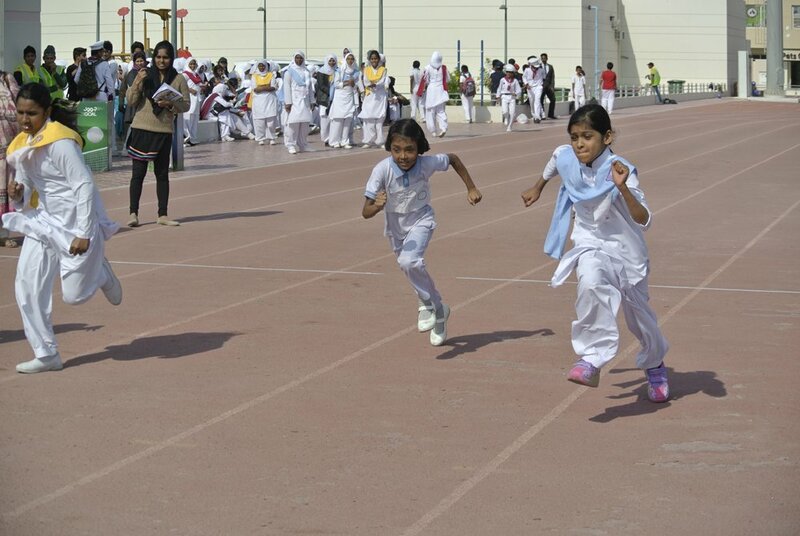 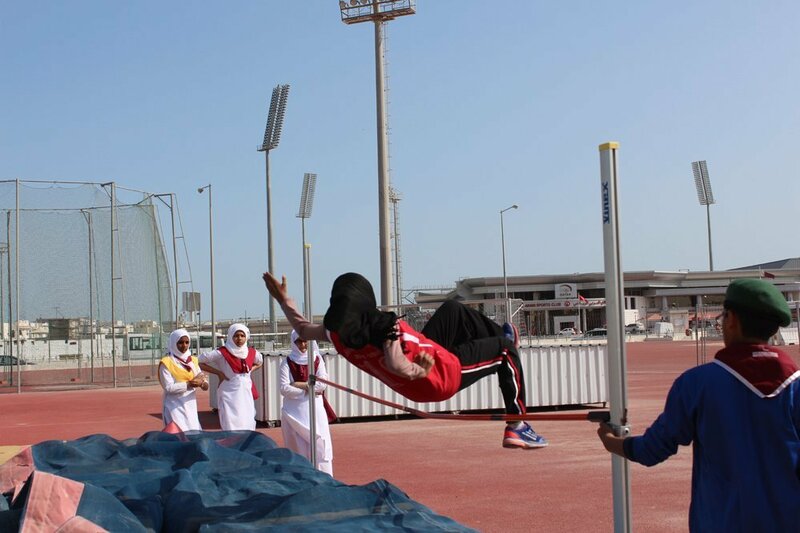 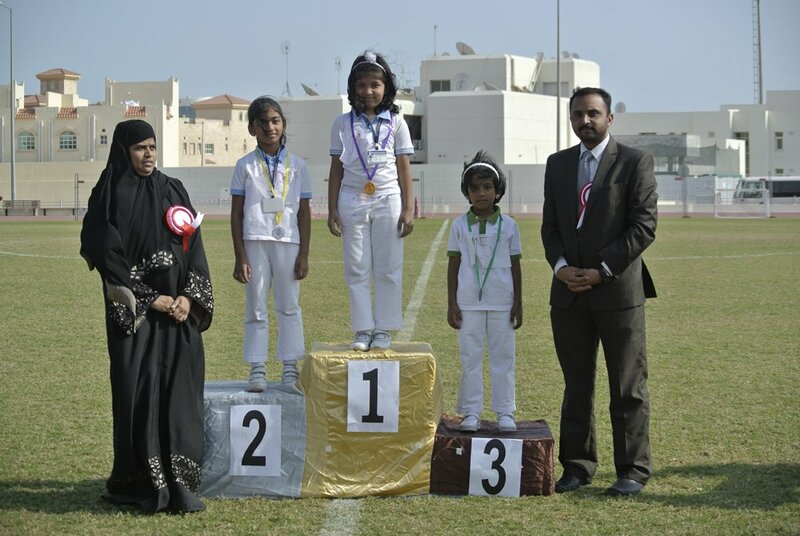 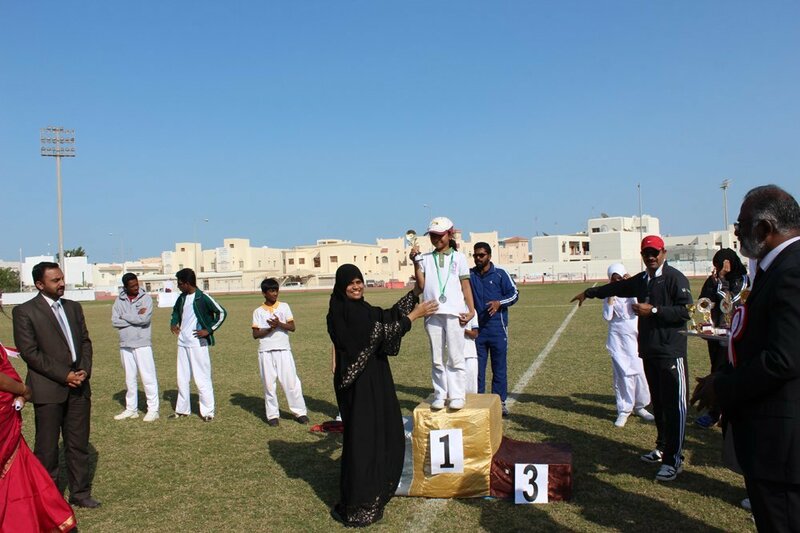 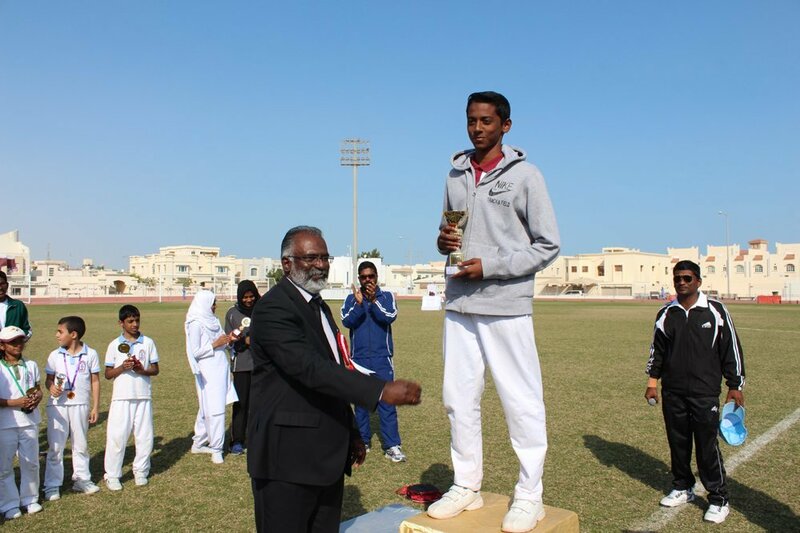 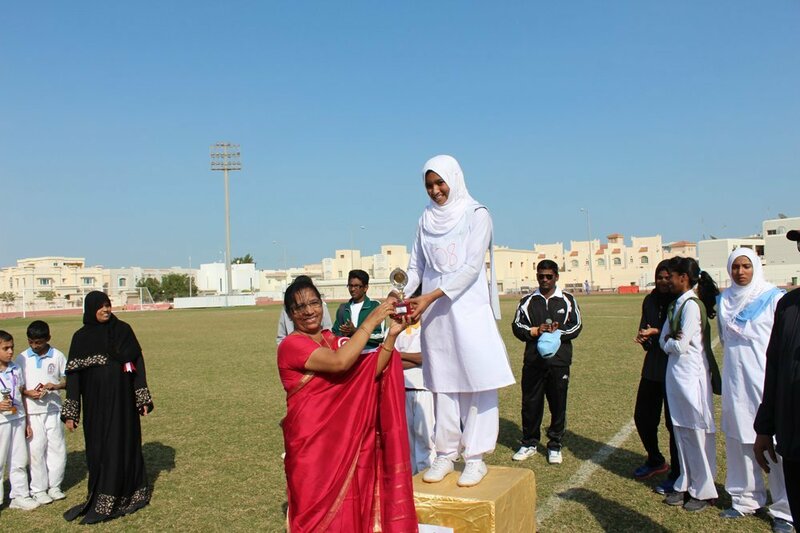 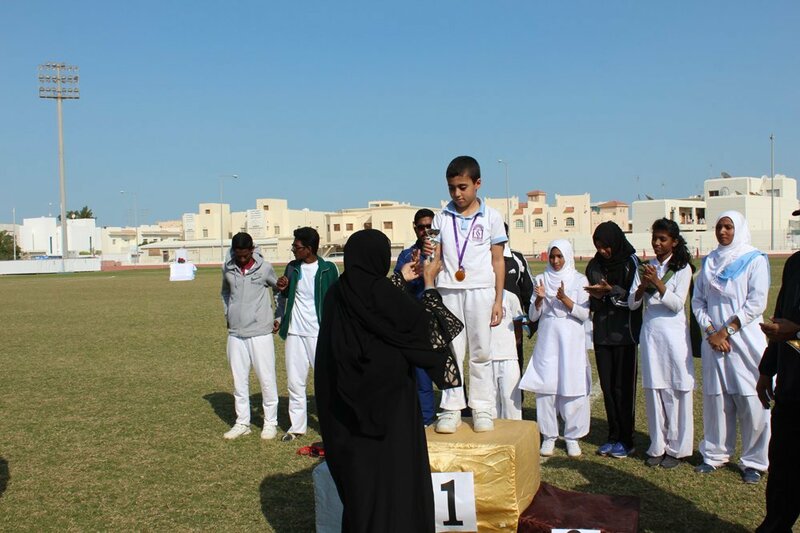 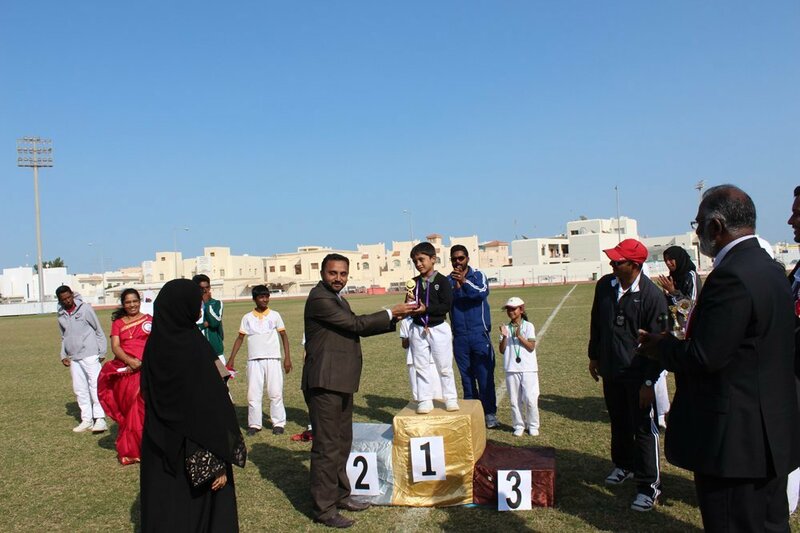 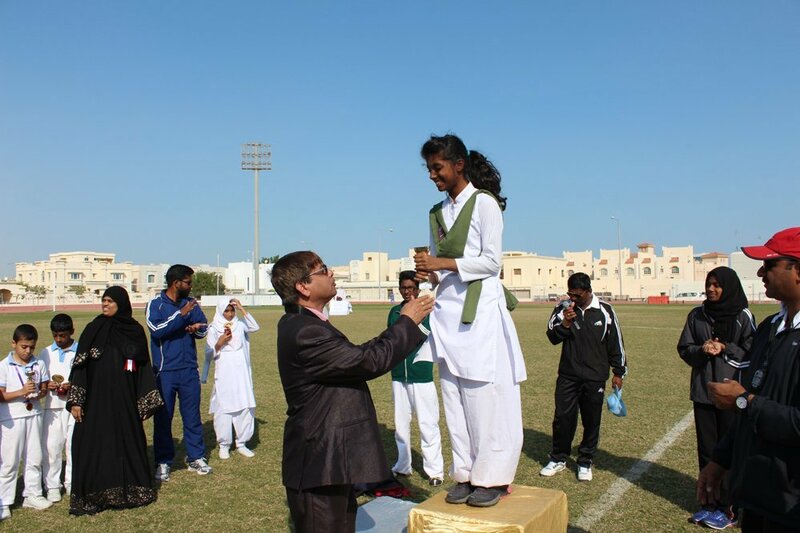 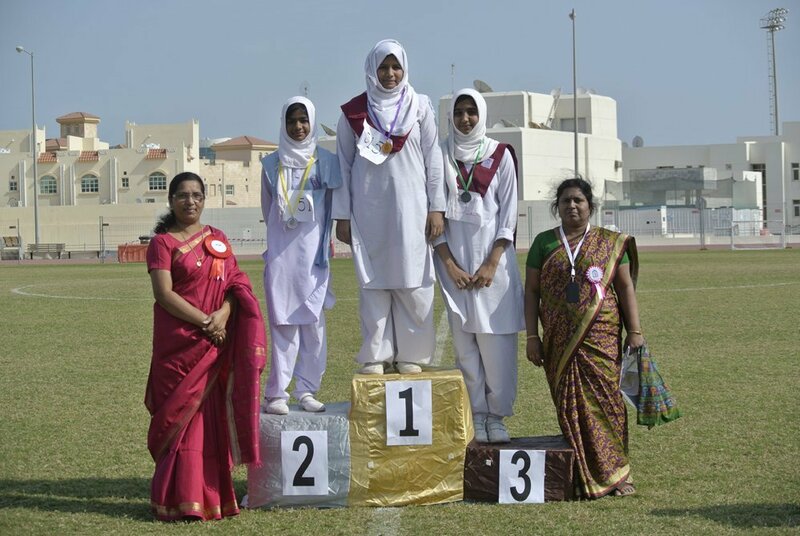 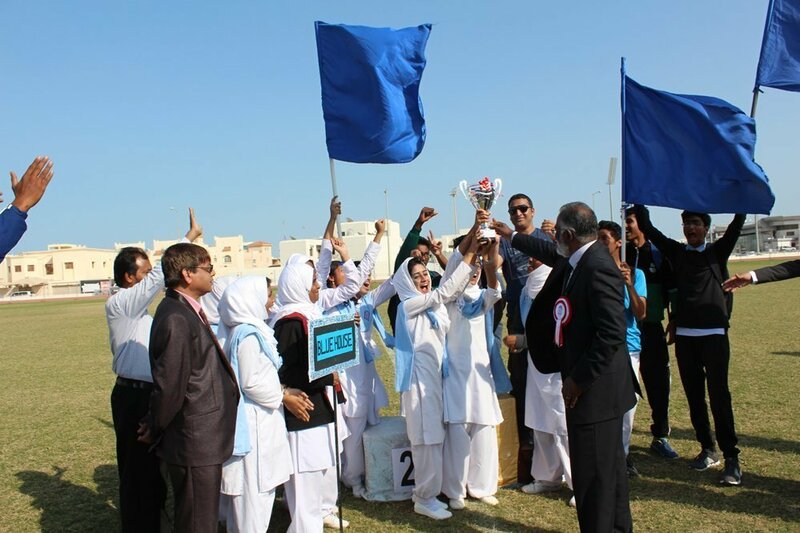 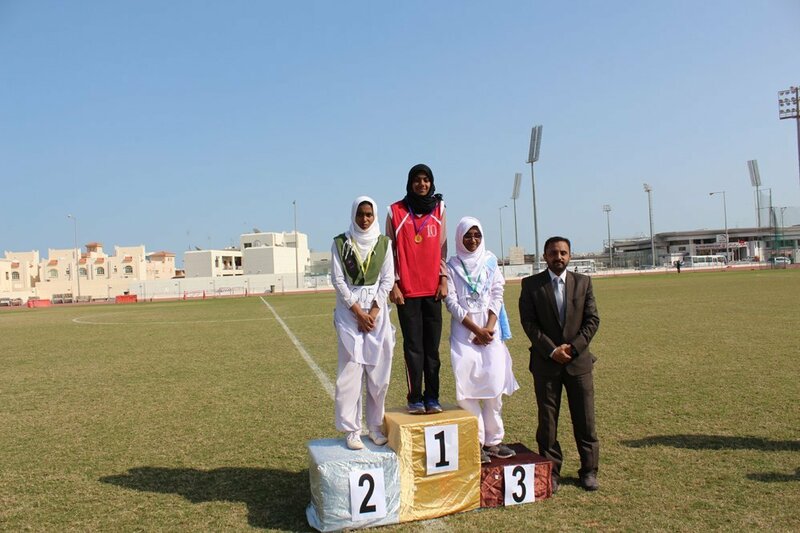 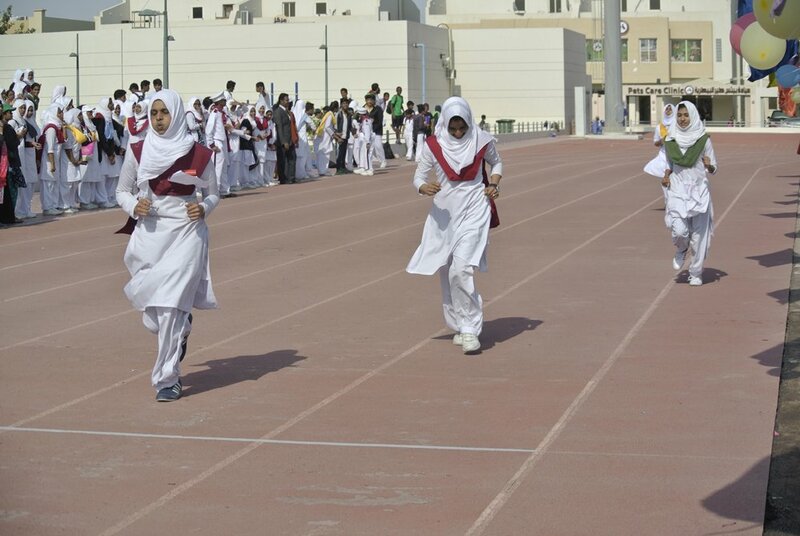 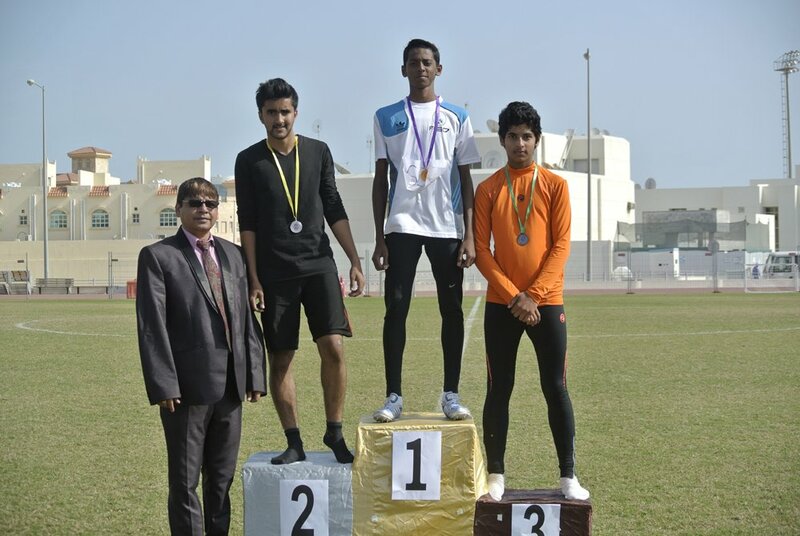 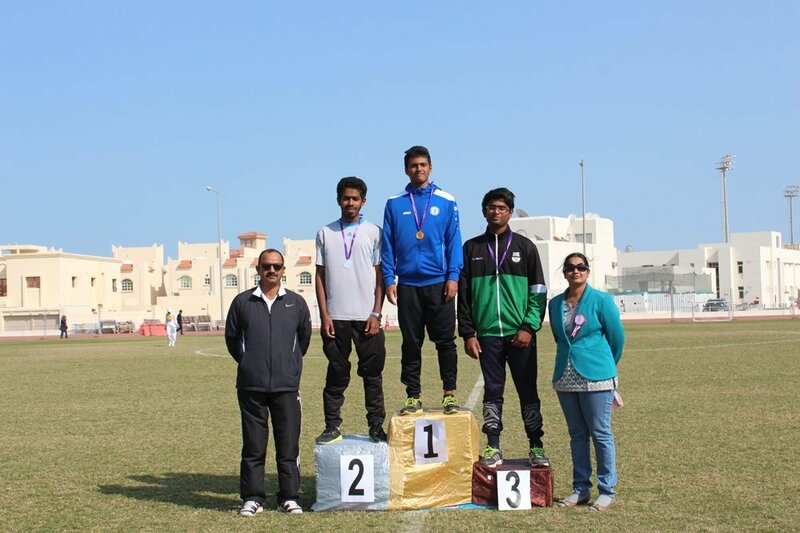 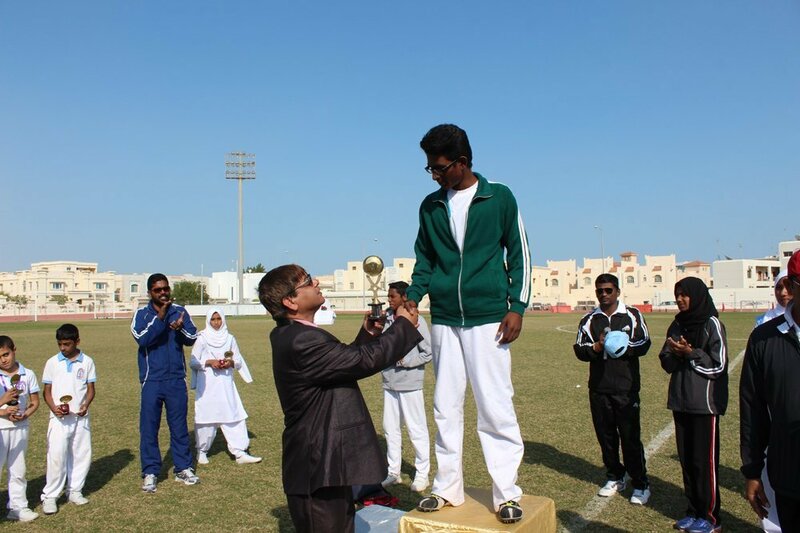 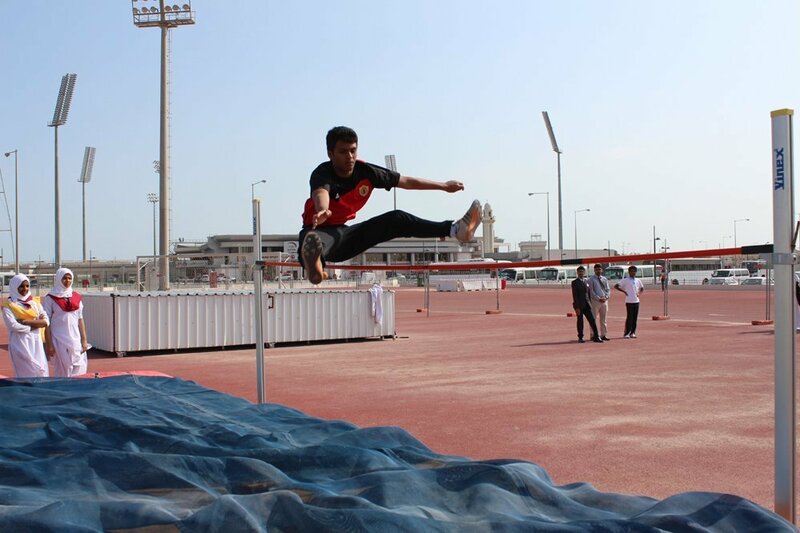 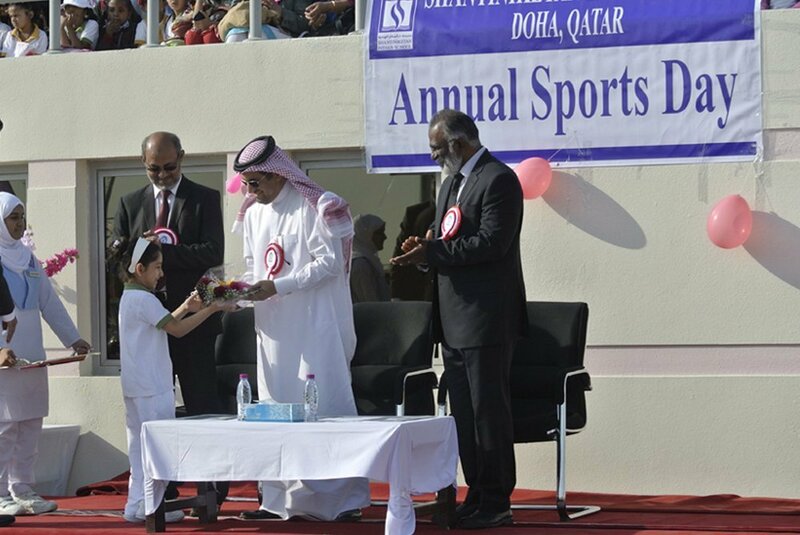 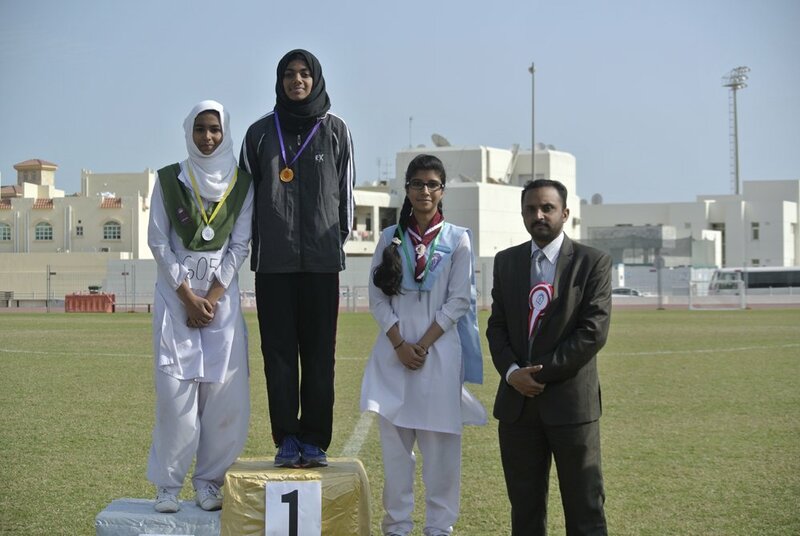 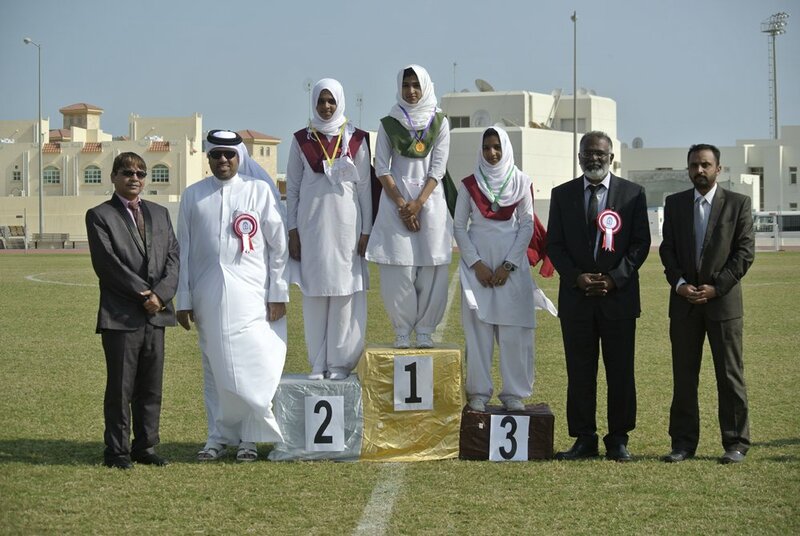 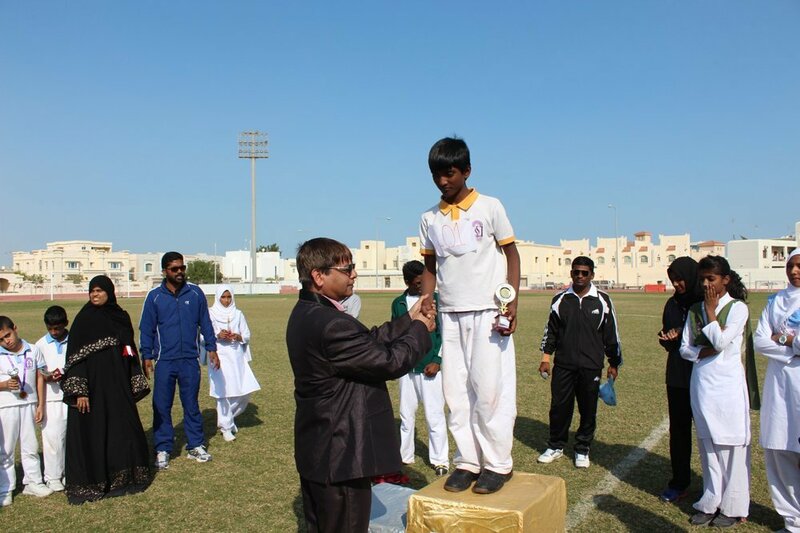 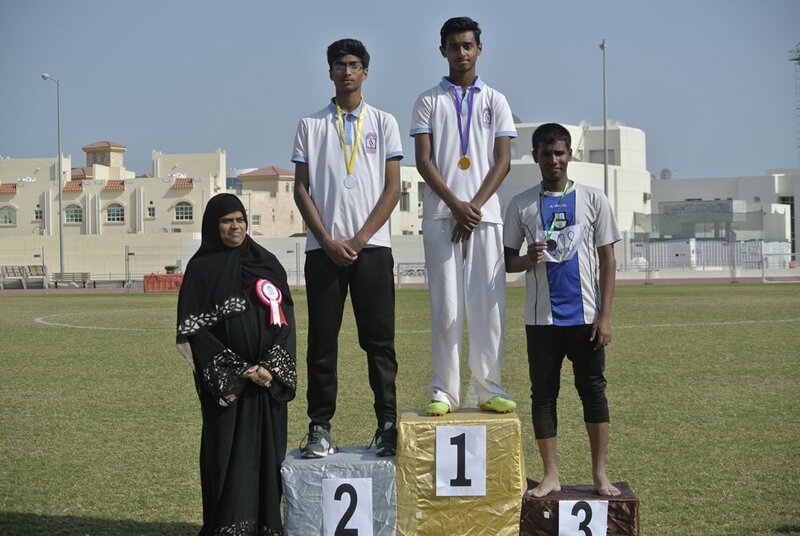 The 15th Annual School Sports of SIS was held at Al Arabi School Sports on 24th December, 2014. 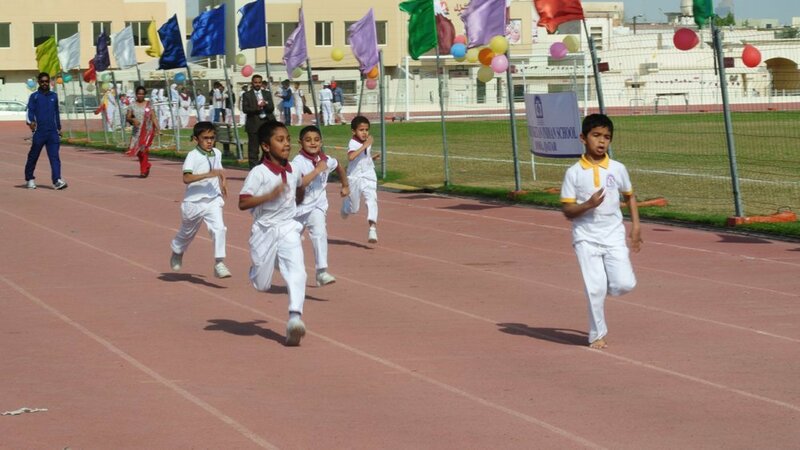 The Athletes displayed great exuberance and athleticism to make every moment during the day a cheerful and exciting one for the huge audience gathered there. 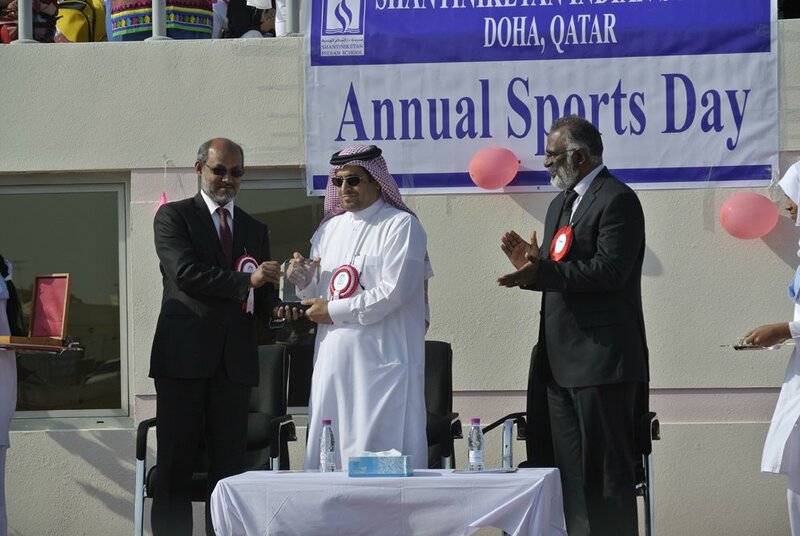 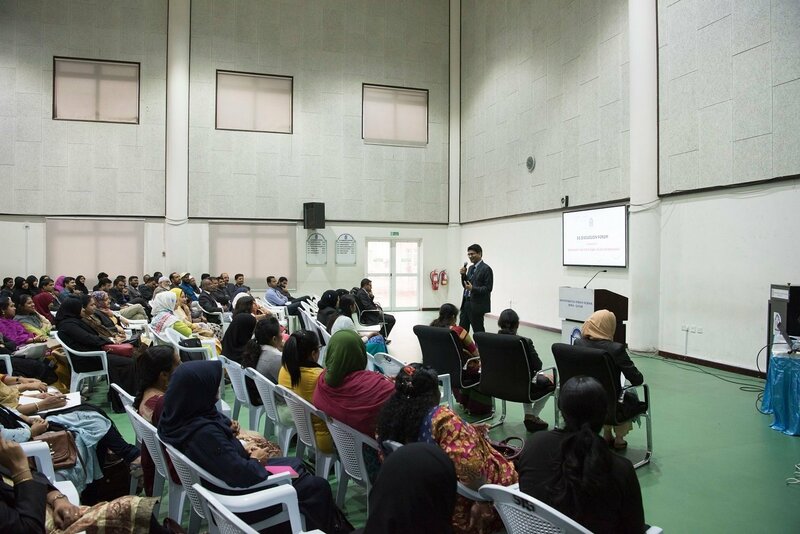 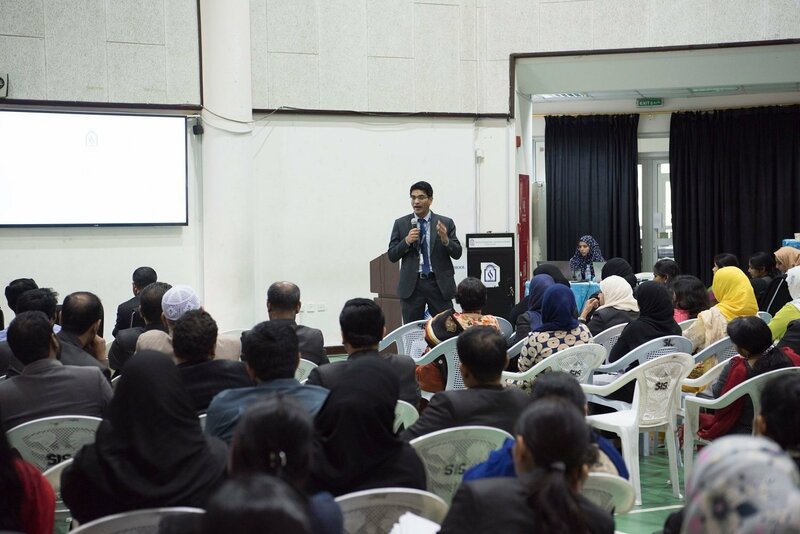 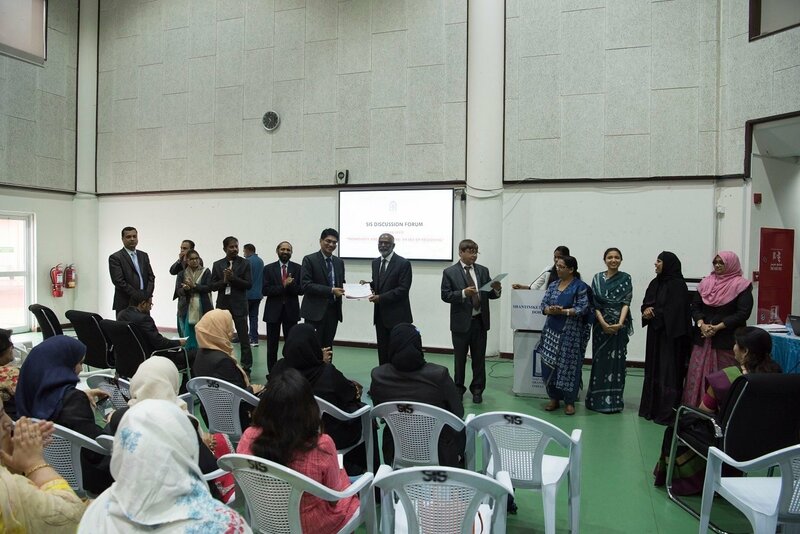 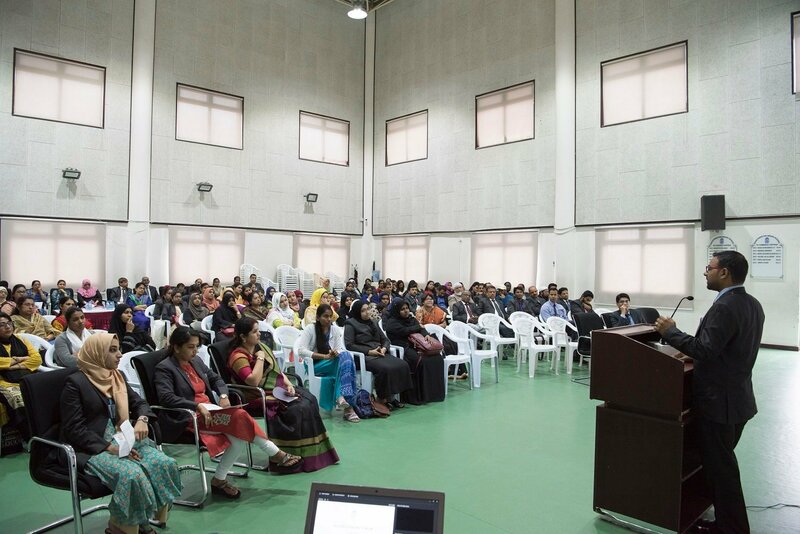 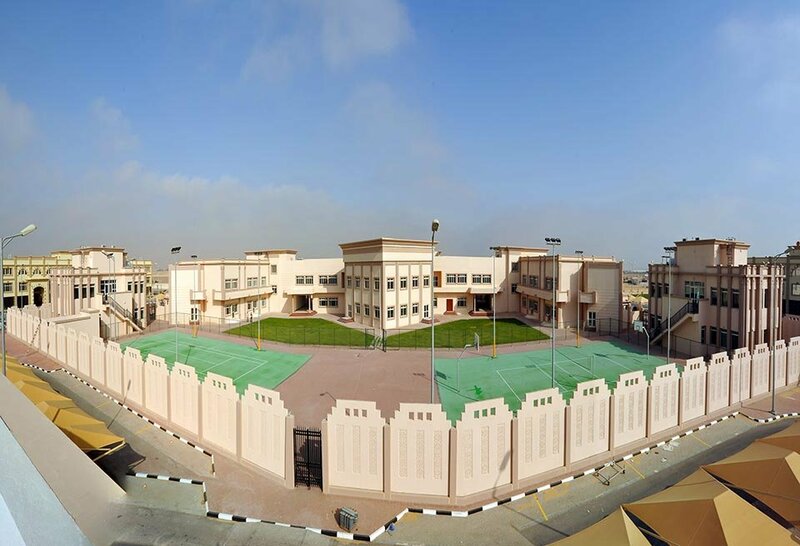 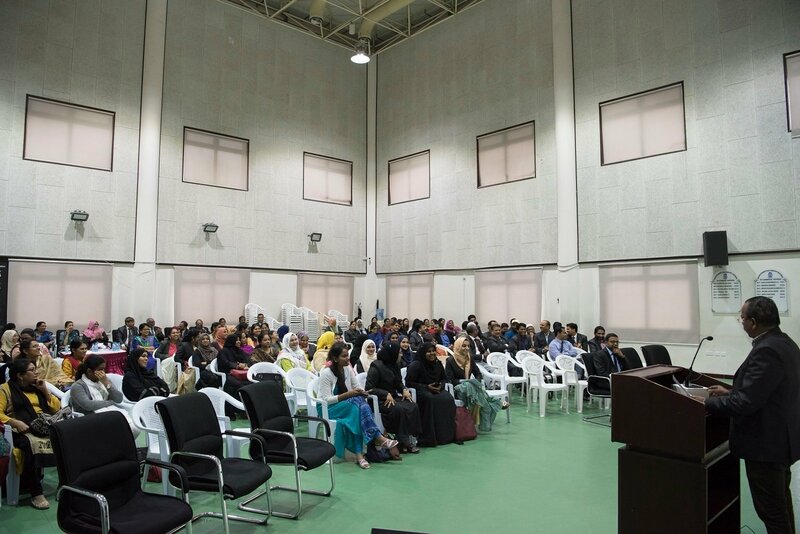 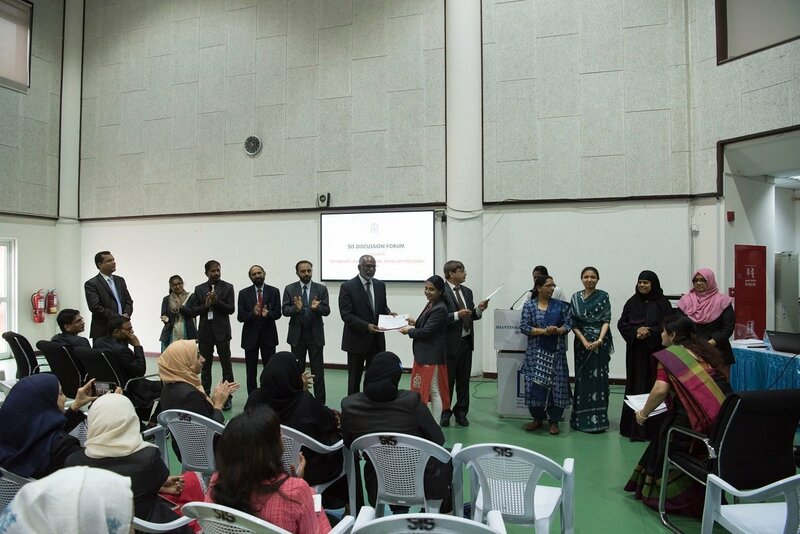 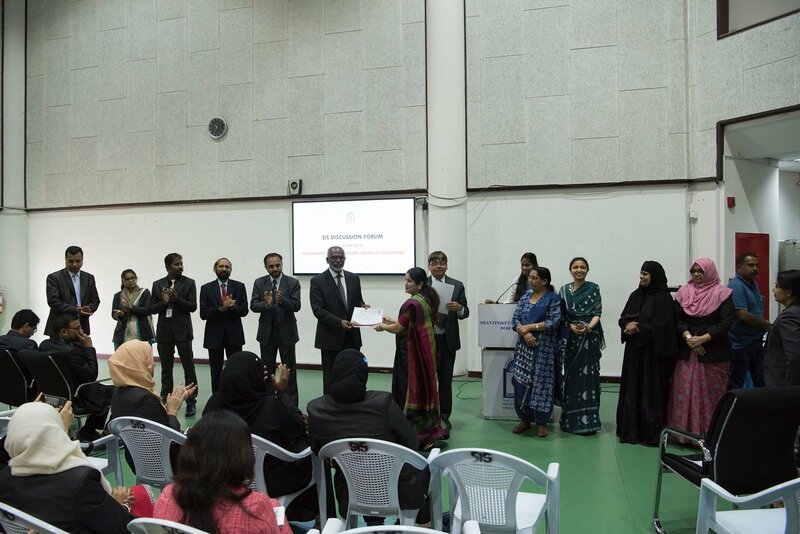 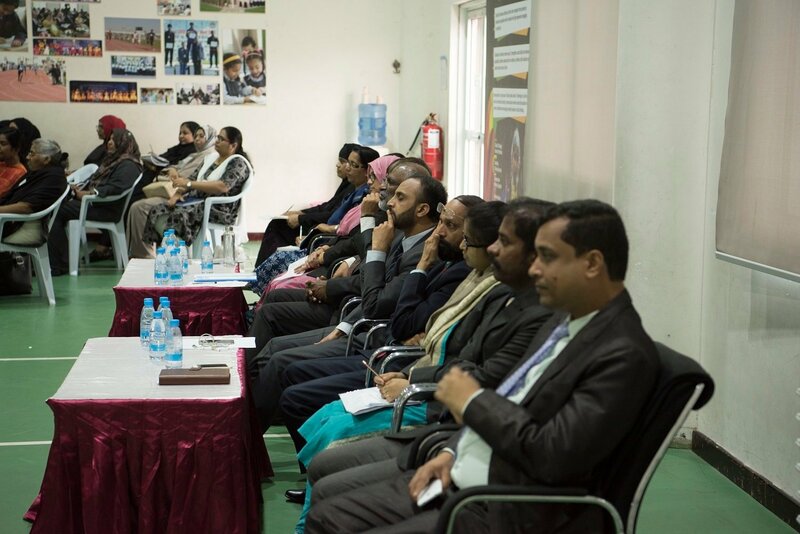 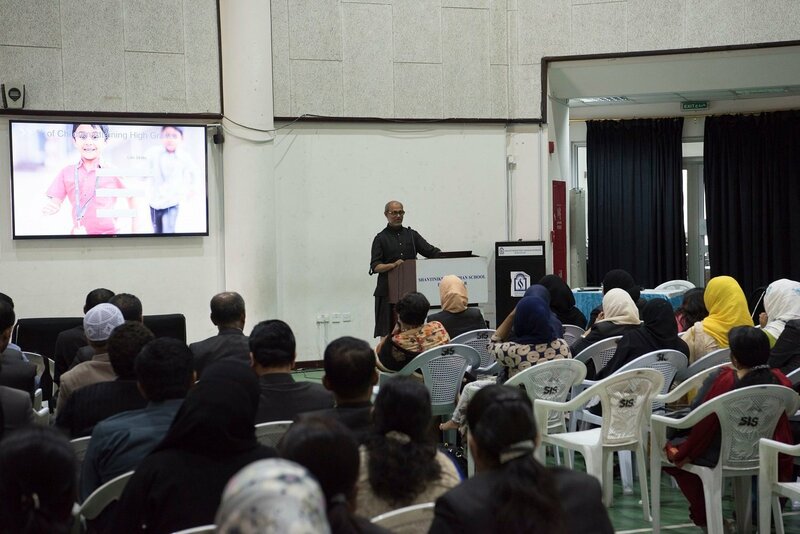 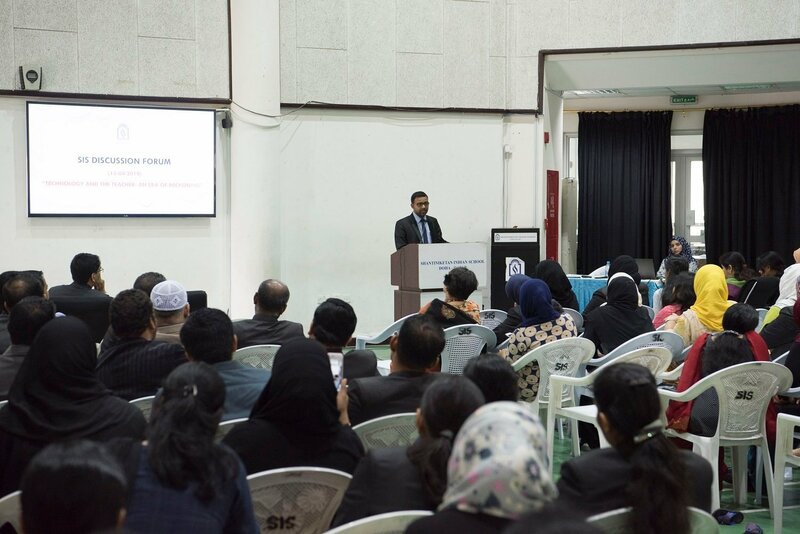 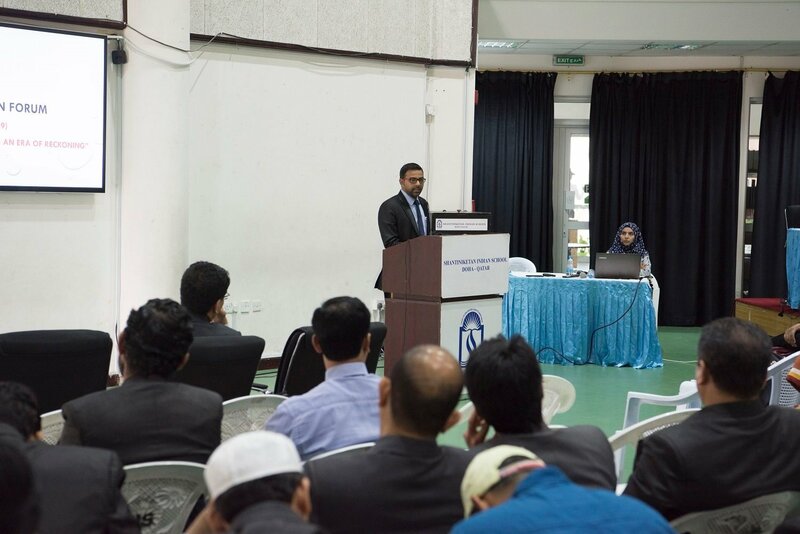 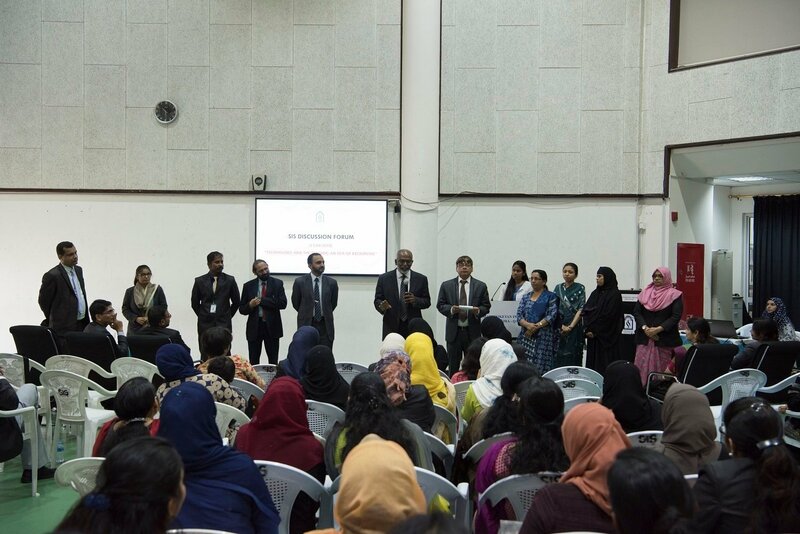 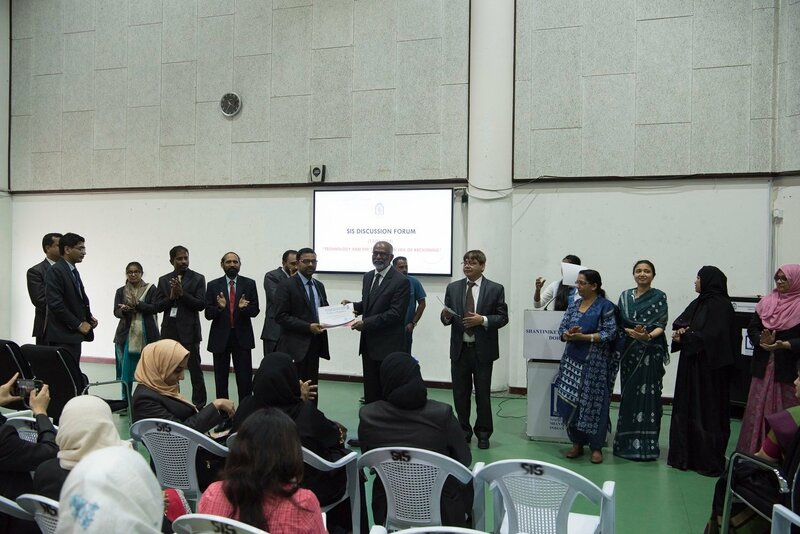 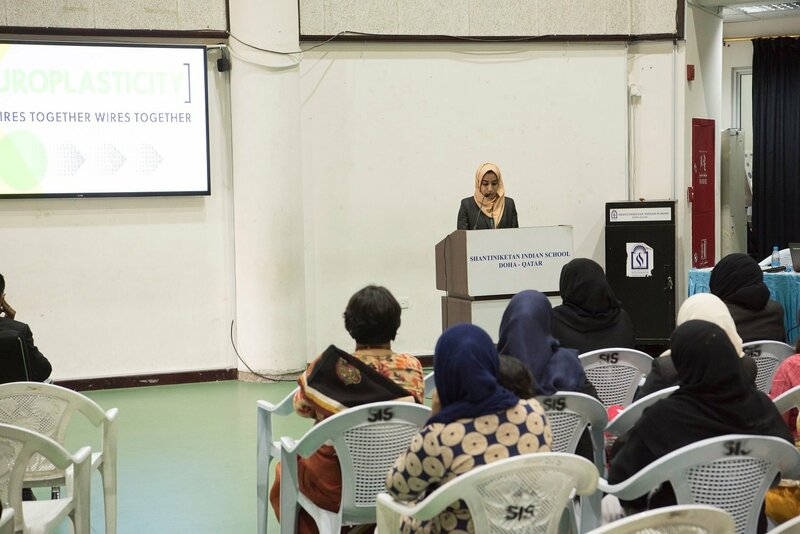 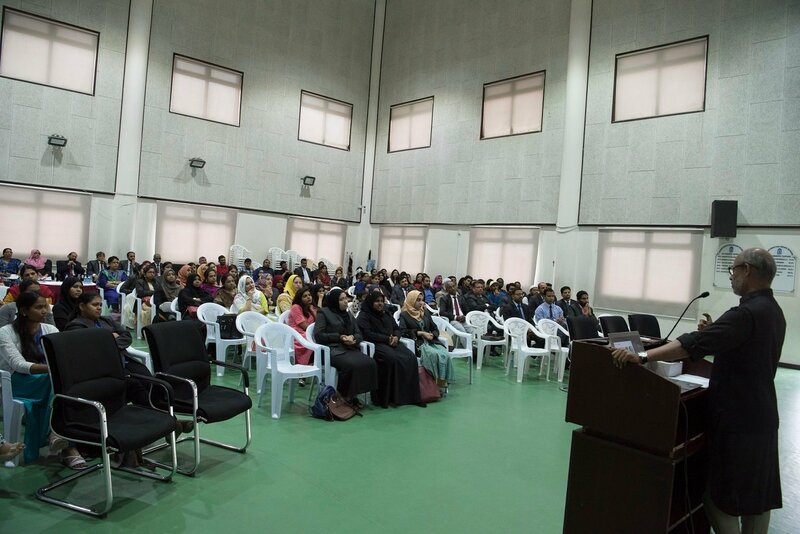 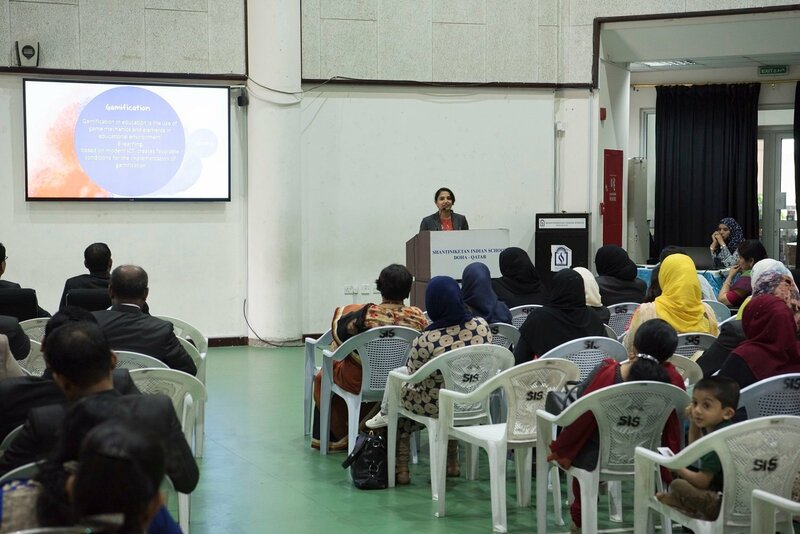 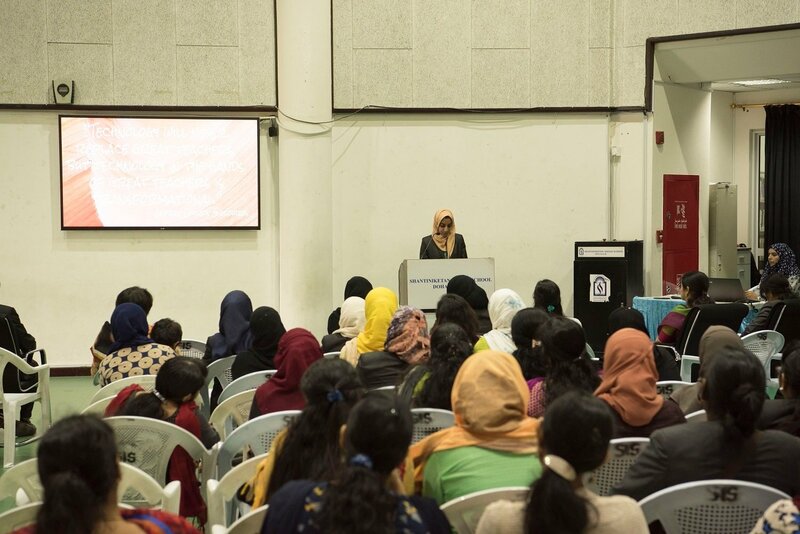 The Guest–in-Chief, Mr.Saood Sa’ad Al Sa’ad, Member, Board of Directors, Shantiniketan Indian School, inaugurated the event in the presence of the honorable Guest, Mr. K. C. Abdul Lateef, and President of the SIS Management Committee. 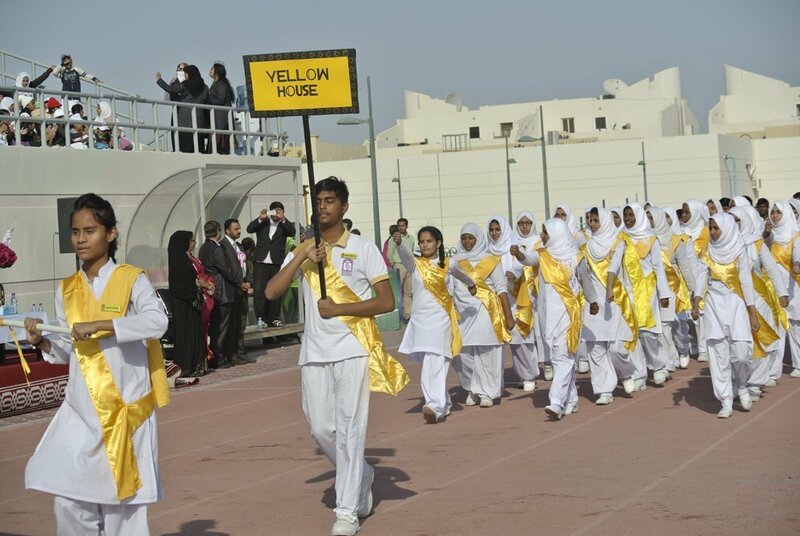 The events started with the colourful March Past done by the students belonging to the four houses who contested for glory on this auspicious occasion. 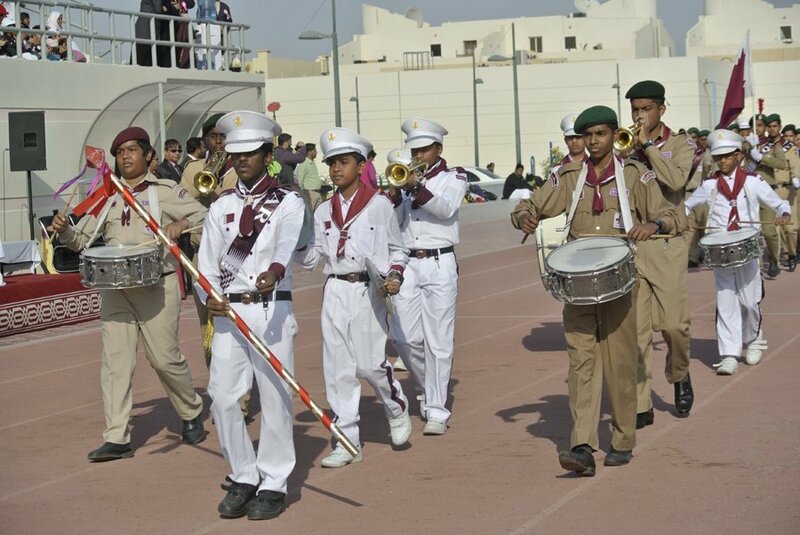 The Scouts and Guide of SIS added a special flavor with their bits during the March Past. 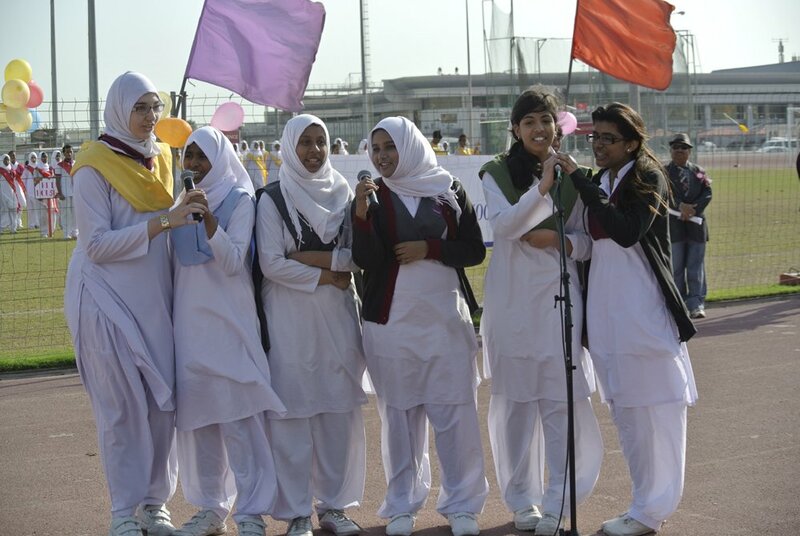 The School Choir enthralled the spectators with a melodious welcome song. 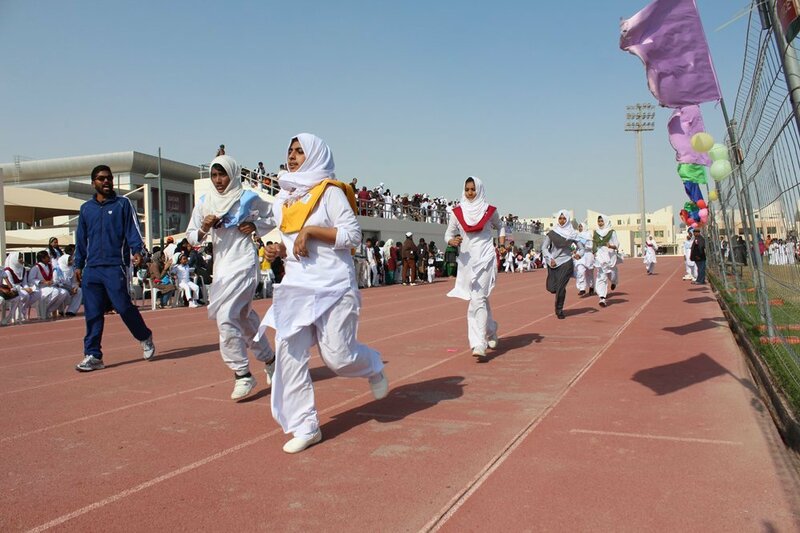 Students from the Middle Section displayed stupendous synchronism through their Aerobics. 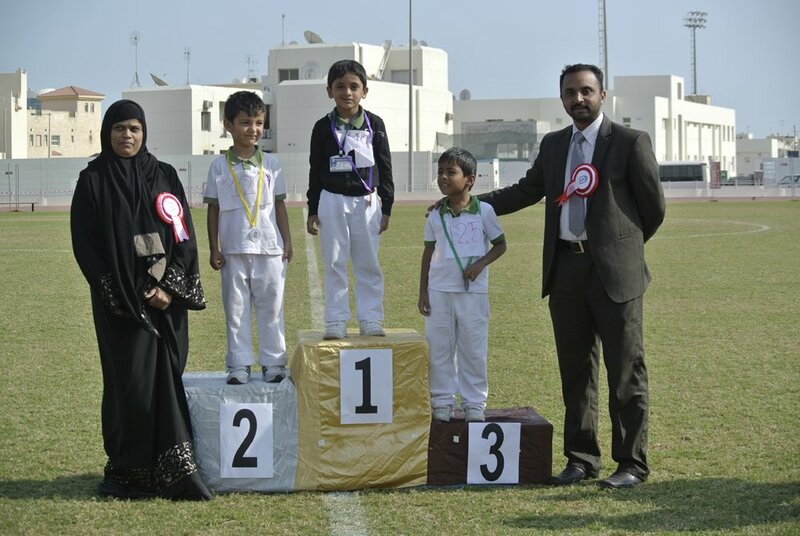 Parents showed tremendous enthusiasm and spirit both as spectators and participants by cheering the young athletes as they competed with each other to come out victorious in their respective events. 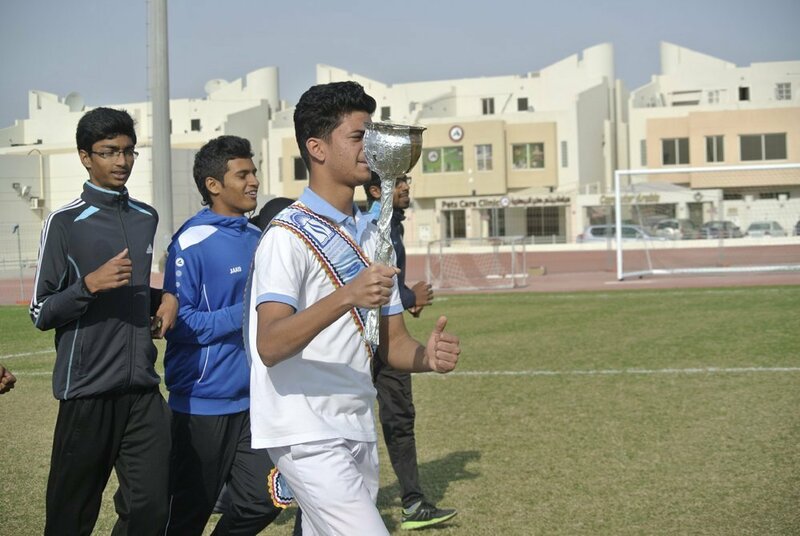 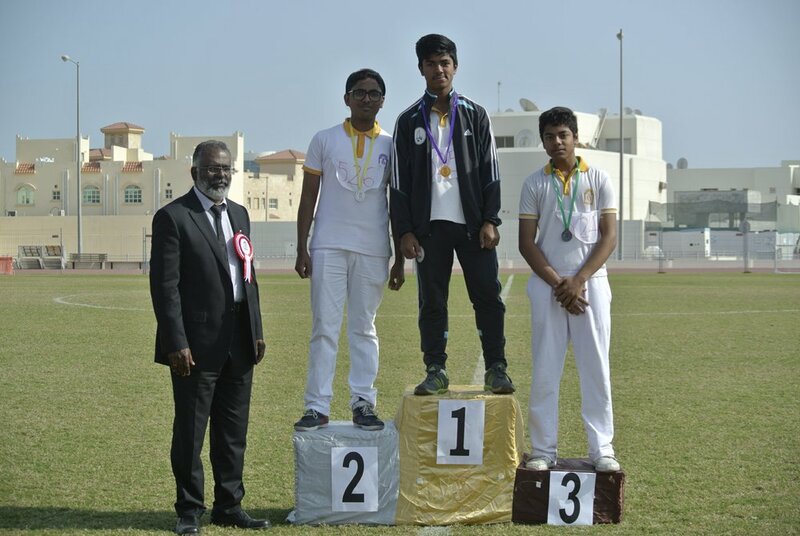 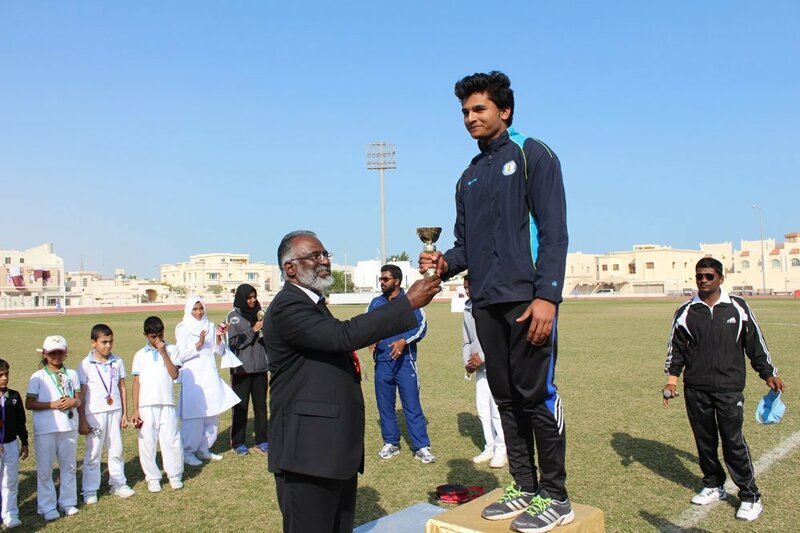 Blue House, led by Housemaster Mr. Mudassir Kirmani, emerged as the overall champions in 2014. 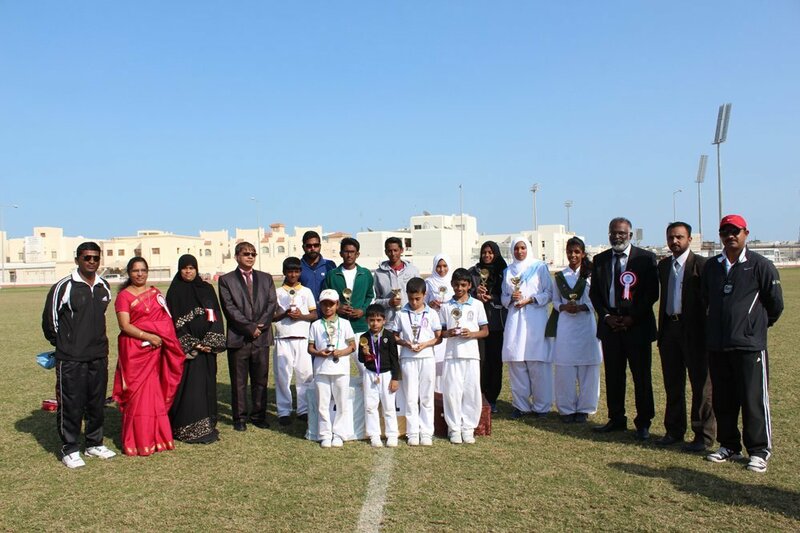 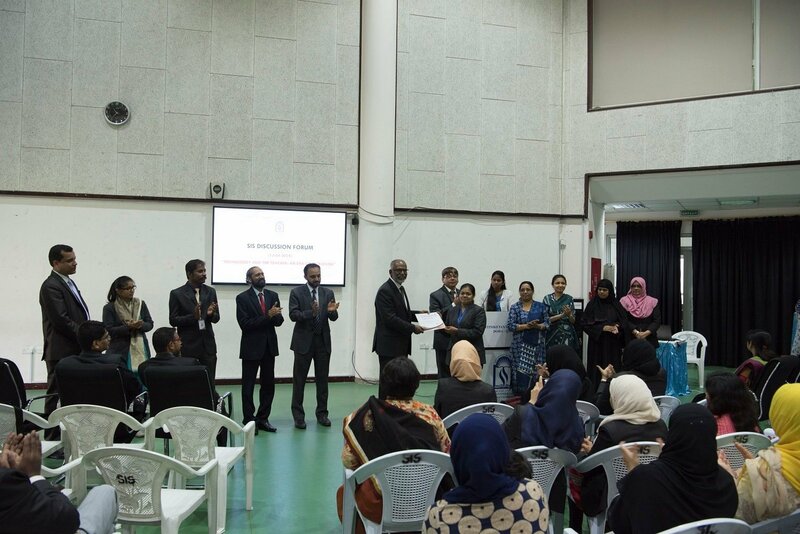 Amina Minha(Kiddies Girls), Muhsin Musthafa(Kiddies Boys), Fathima Mohammed Imran(Mini Junior Girls), Ziad Mohammed (Mini Junior Boys) Zafira(Sub Junior Girls),Sohrab Patel(Sub Junior Boys),Noofa Musthafa (Junior Girls) Waliullah Ashfaque(Junior Boys) Sharon Elizabeth (Intermediate Girls), Sahal Sadique(Intermediate Boys),Adhila Jaleel (Pre-Senior Girls), Irfan(Pre-Senior Boys),Mufeetha (Senior Girls) and Fayis Musthafa (Senior Boys) emerged as Individual champions in their own categories. 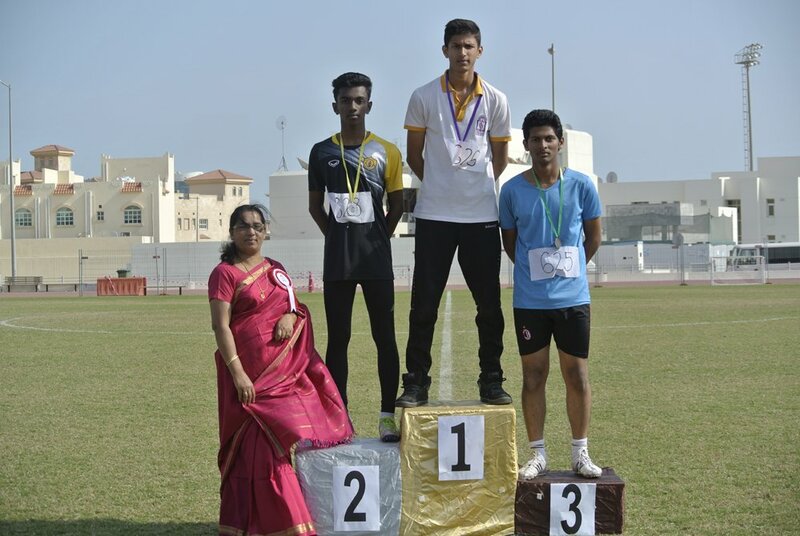 Mr. & Mrs.Munna Prasad emerged winners in the Parent’s event followed by Mr. & Mrs. Sheeba Khadka and Mr. & Mrs. Minero Mendes in the second place and third place respectively. 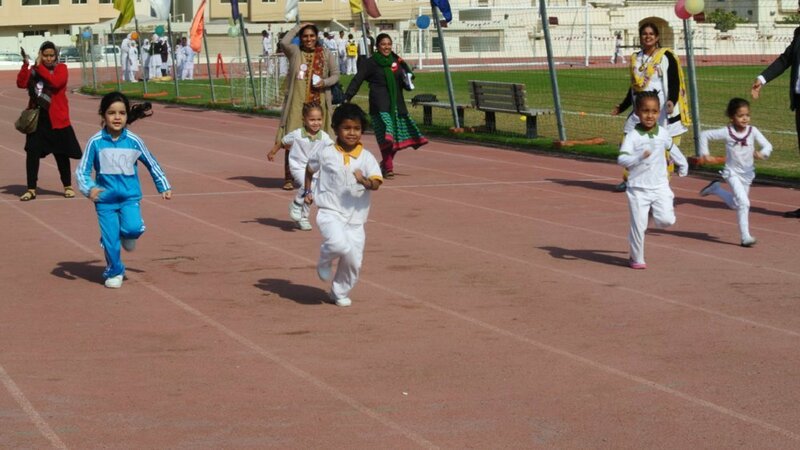 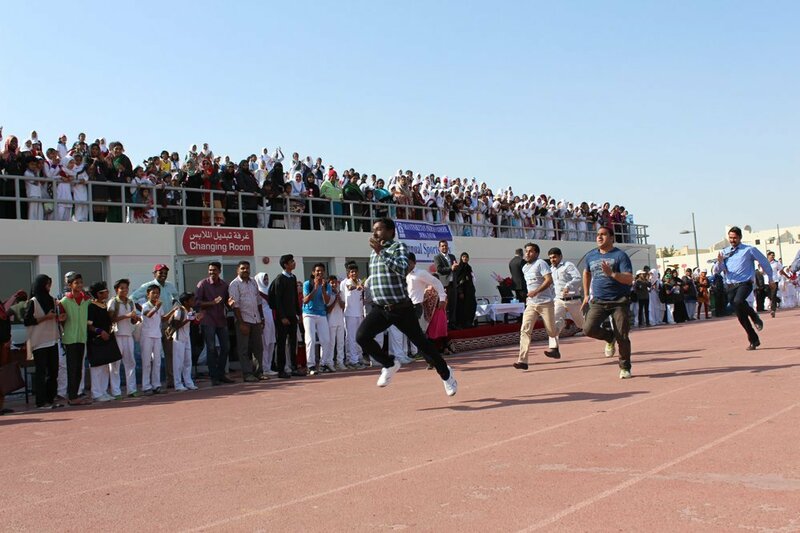 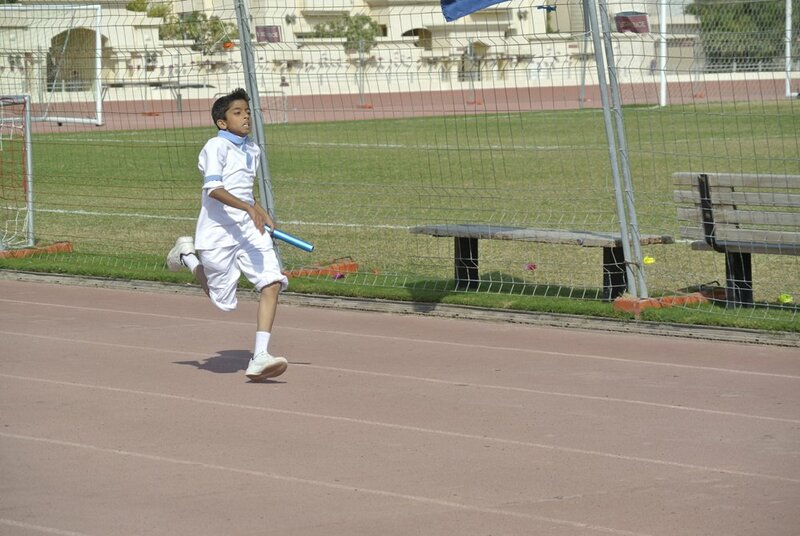 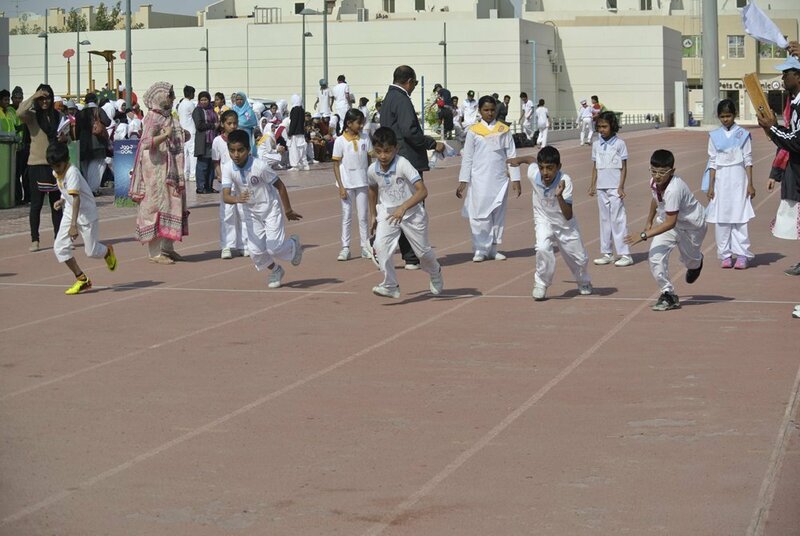 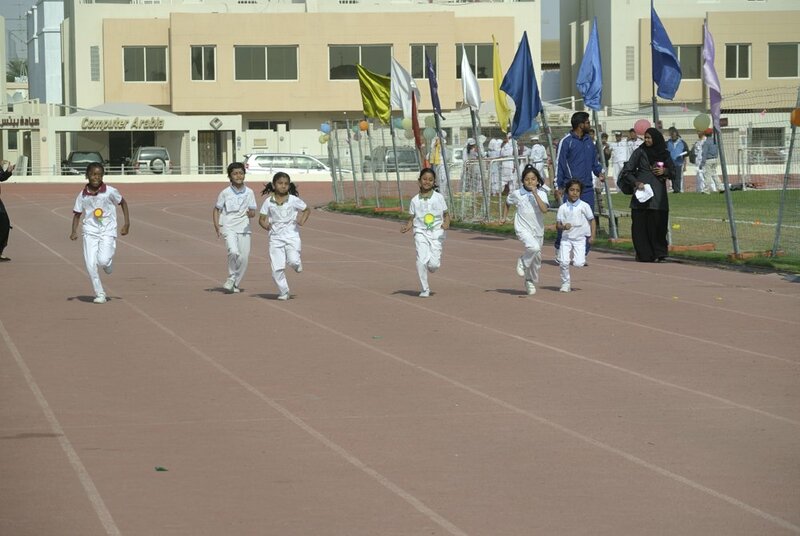 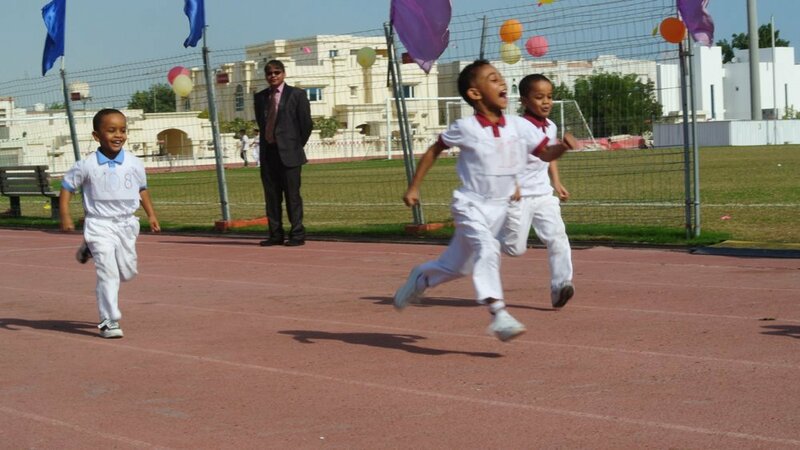 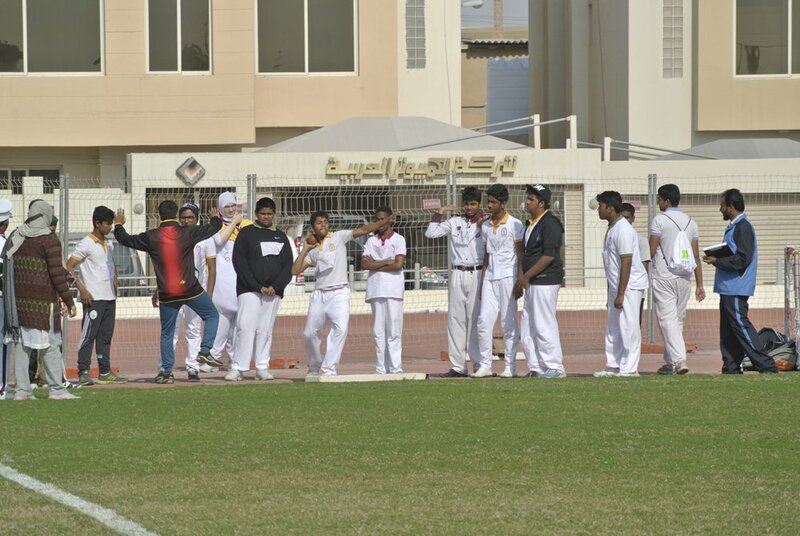 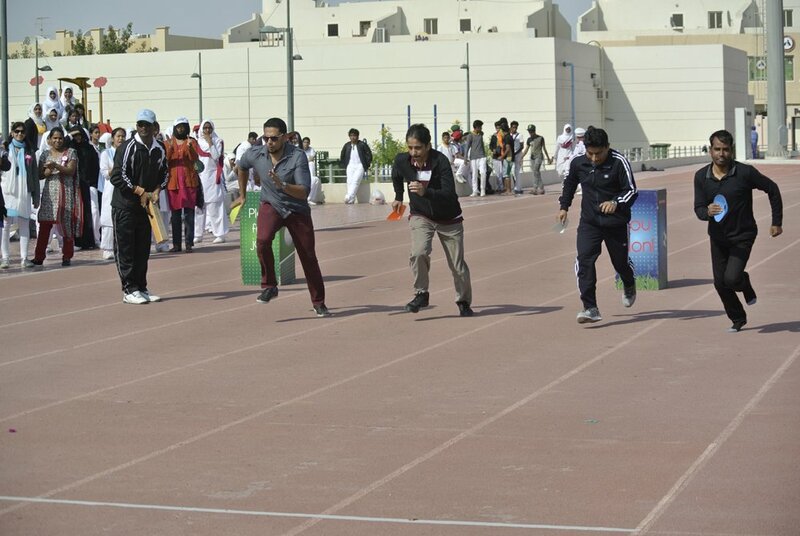 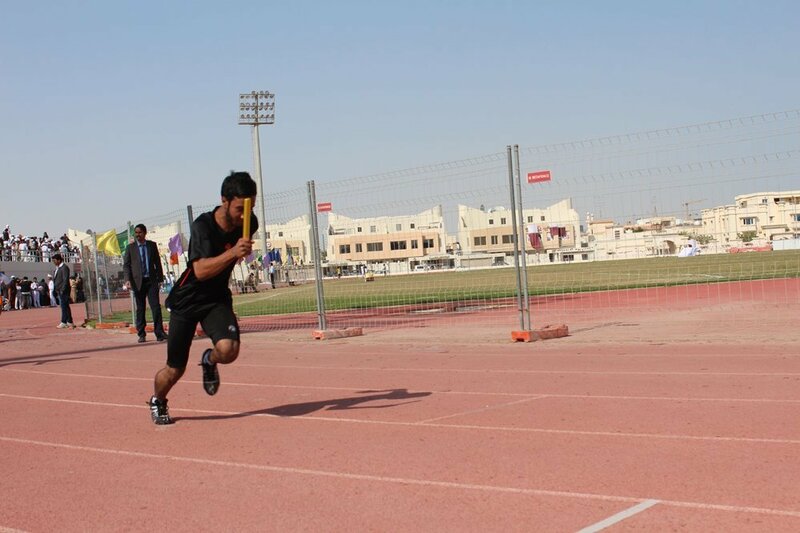 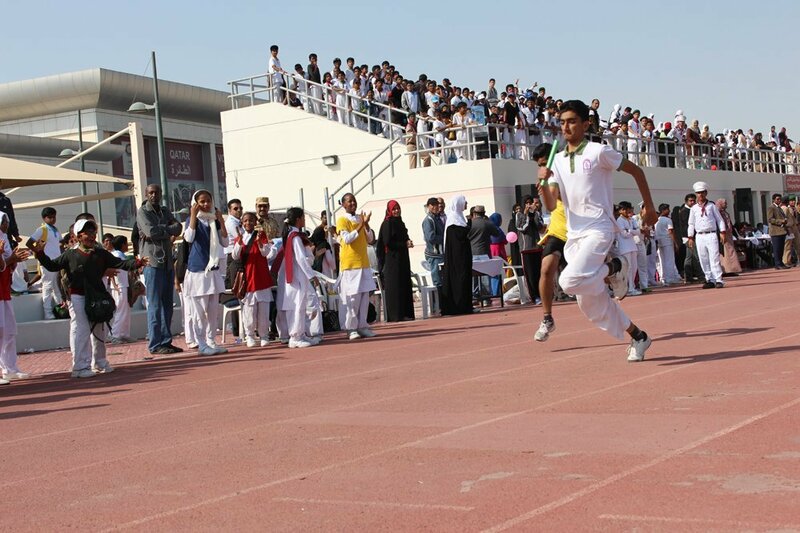 The Teachers also showed great sportsman spirit and participated in the 100m sprint race. 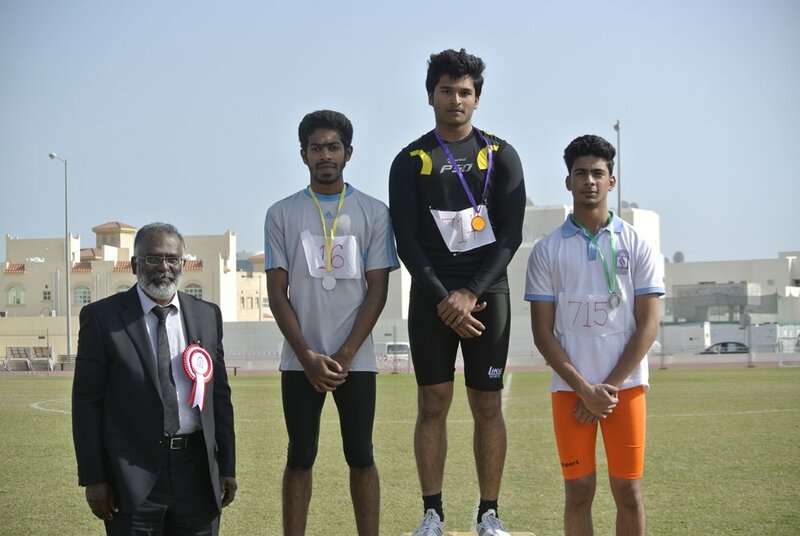 Mr.Nishanth P M, Mr. Mudassir Kirmani and Mr. Jamal MP won the First, Second and third Place respectively in the Men’s event while Mrs. Soudabhi. 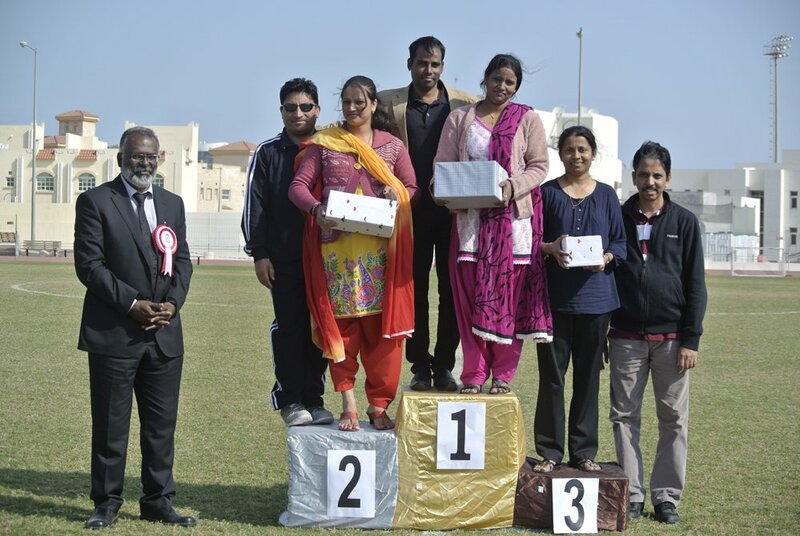 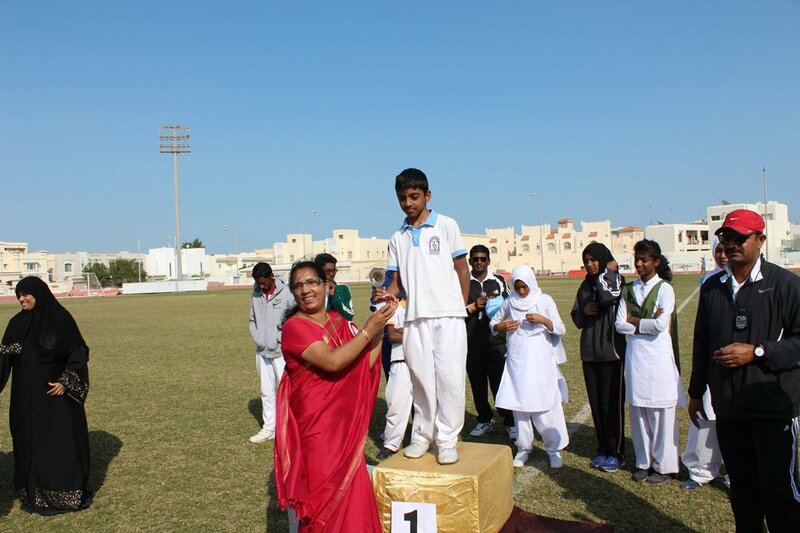 Mrs. Reena and Mrs. Nighitha won the prizes in the women’s 50m dash. 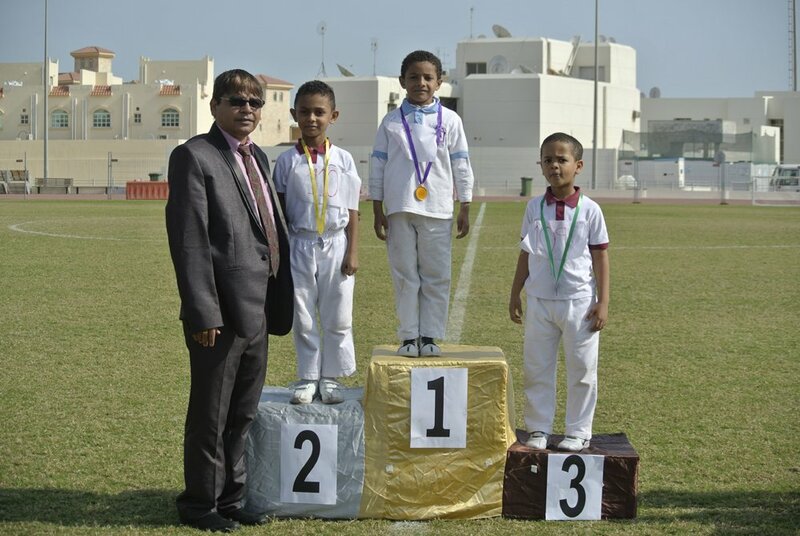 Mr. Abdulla Al Neama, Marketing Manager Al Arabi Sports Club presented award to the winners. 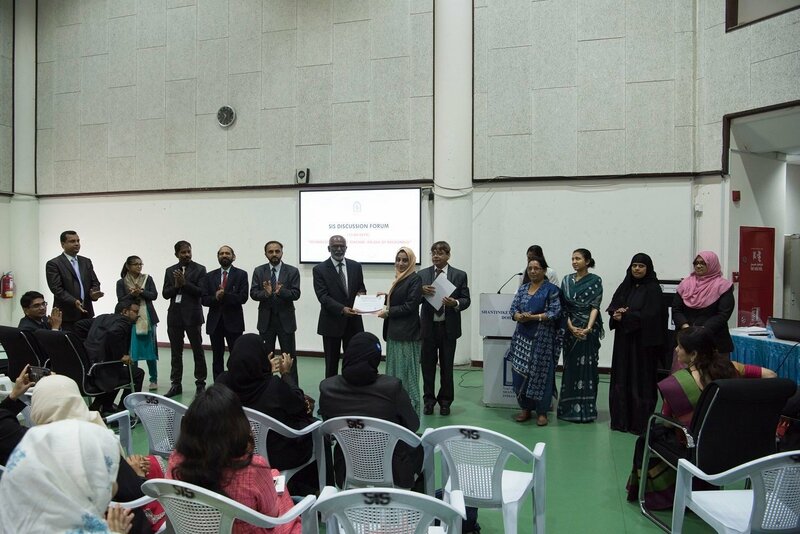 Principal, Dr. Subhash B. Nair, declared the event closed and Mrs. Prabha Saji, presented the vote of thanks to all present on the field and appreciated the efforts of the entire team for making the event a Grand Success.